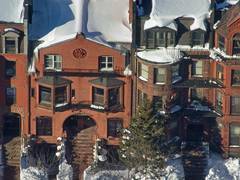 434-12. 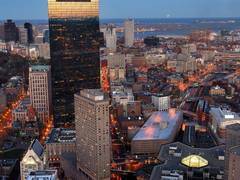 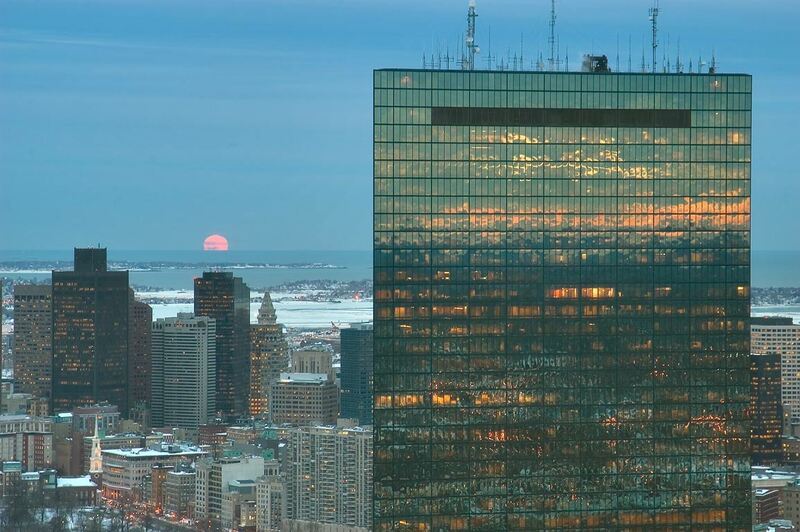 Beacon Hill at sunset, view from Skywalk observatory of Prudential Tower. 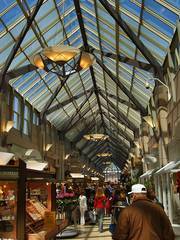 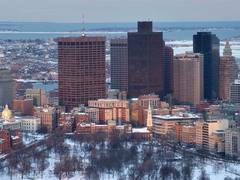 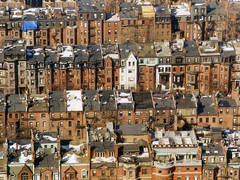 Boston, Massachusetts, January 25, 2005. 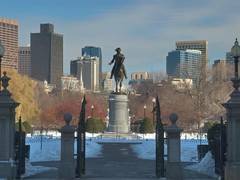 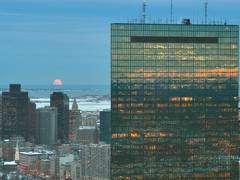 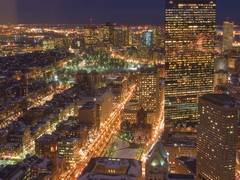 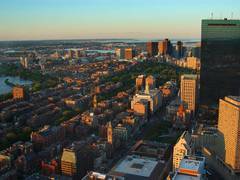 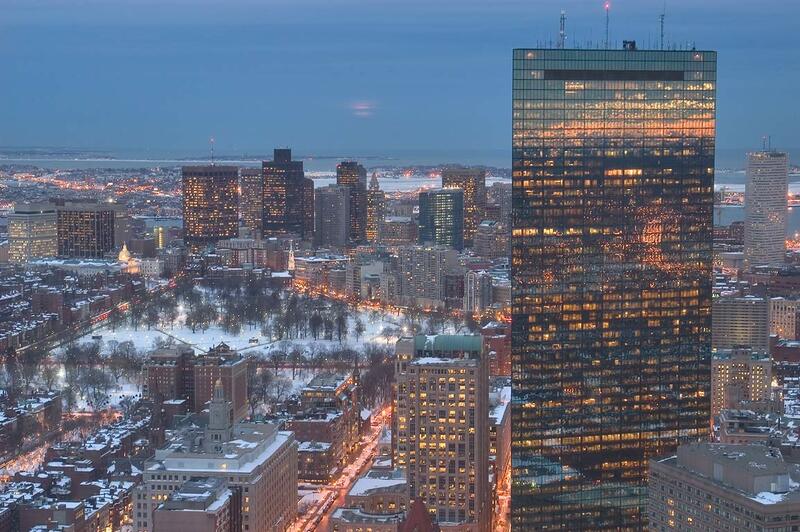 Boston Common and Financial Center at sunset, view from Skywalk observatory of Prudential Tower. 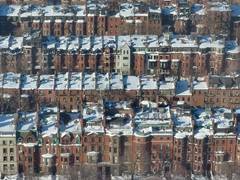 Boston, Massachusetts, January 25, 2005. 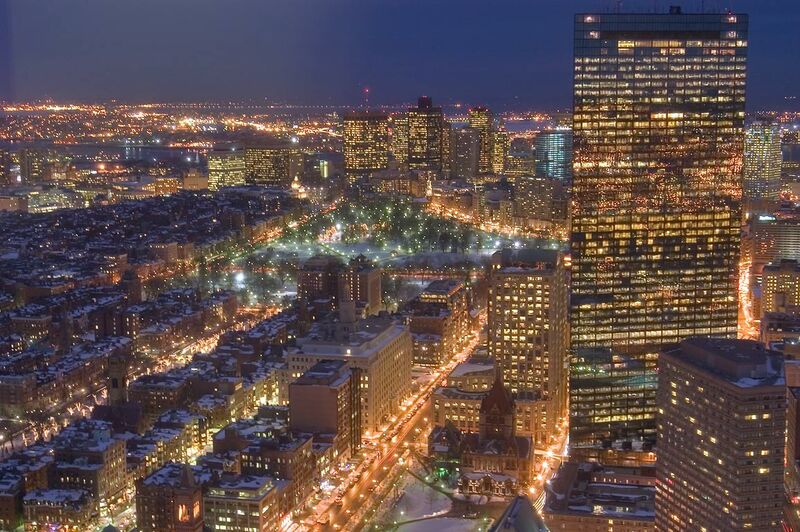 Hancock Tower, Boston Common and Financial Center after sunset, view to north-east from Skywalk observatory of Prudential Tower. 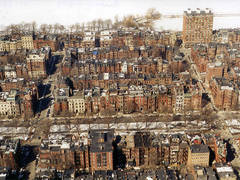 Boston, Massachusetts, January 25, 2005. 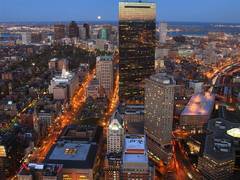 View to north-east from Skywalk observatory of Prudential Tower after sunset. 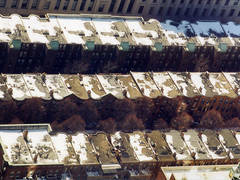 Boston, Massachusetts, January 25, 2005. 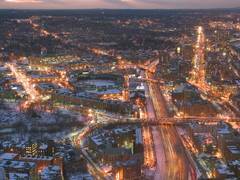 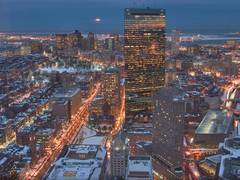 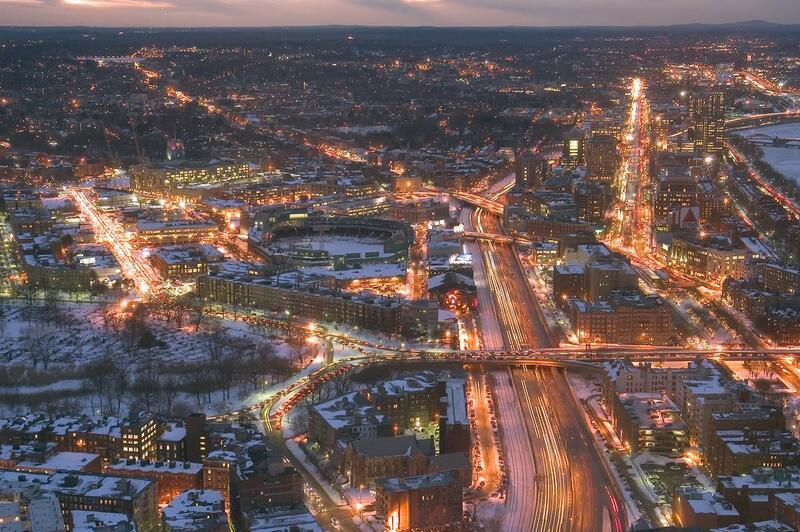 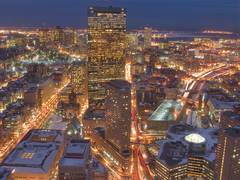 Massachusetts Turnpike and Fenway Park after sunset, view to the west from Skywalk observatory of Prudential Tower. 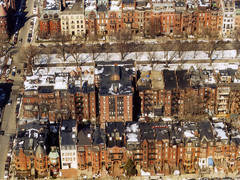 Boston, Massachusetts, January 25, 2005. 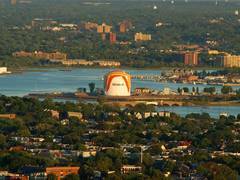 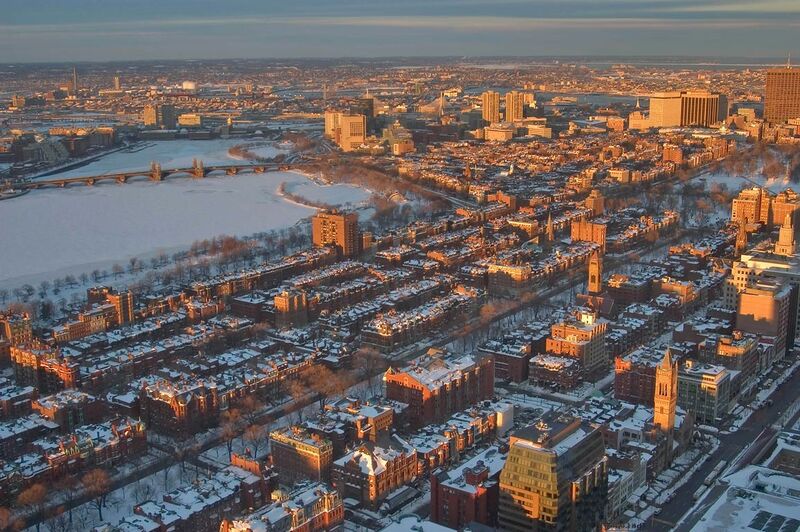 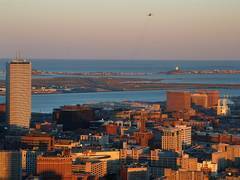 Back Bay, Charles River and Long Fellow Bridge at sunset, view from Skywalk observatory of Prudential Tower. 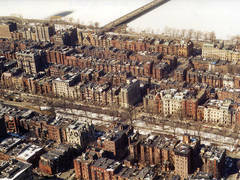 Boston, Massachusetts, January 25, 2005. 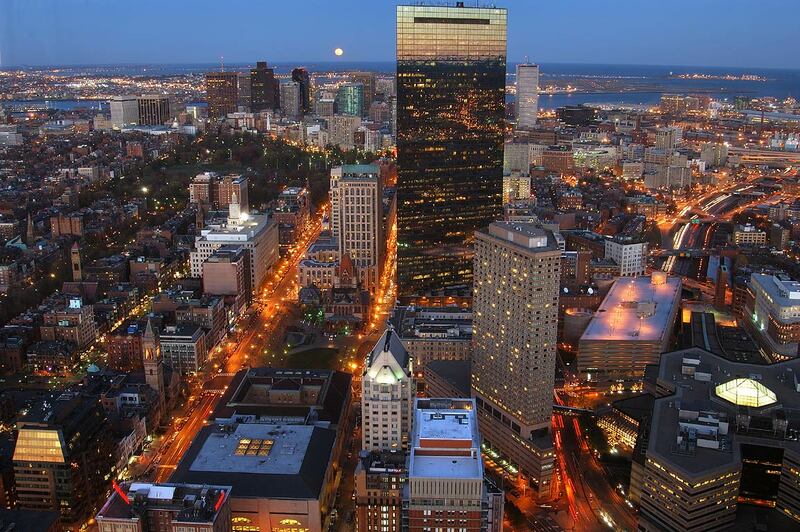 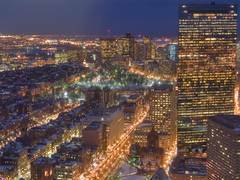 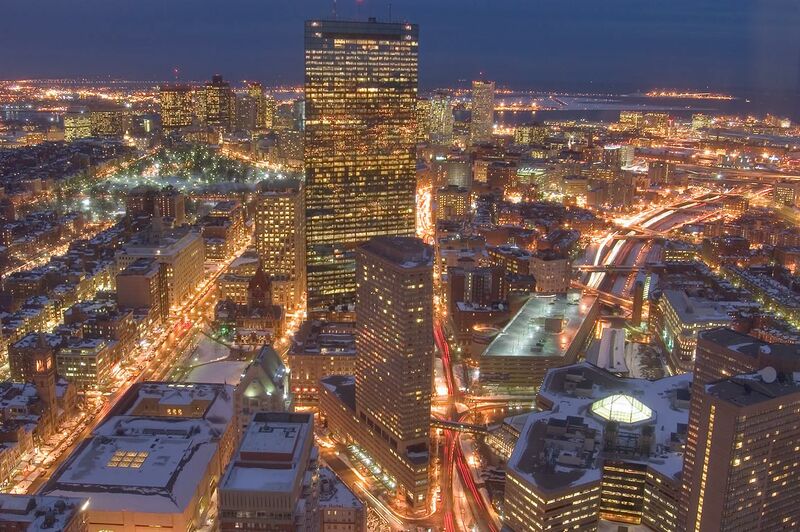 South End after sunset, view to south-east from Skywalk observatory of Prudential Tower. 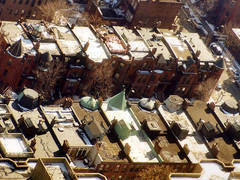 Boston, Massachusetts, January 25, 2005. 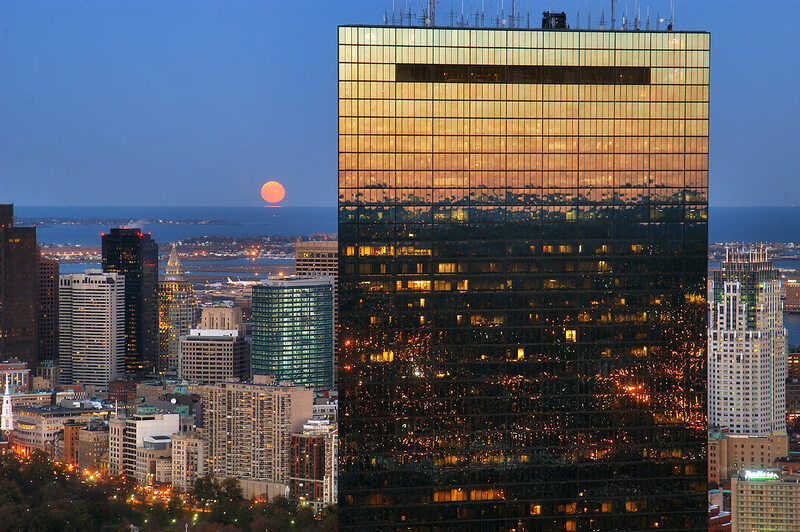 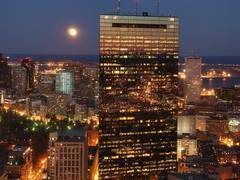 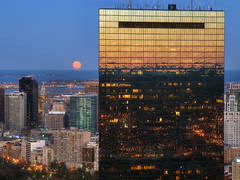 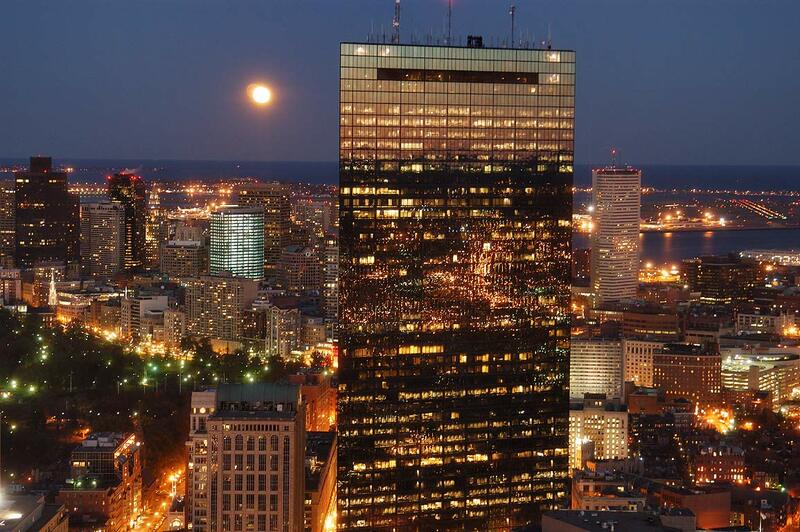 Hancock Tower, Financial Center and Boston Harbor at moonrise, view to north-east from Skywalk observatory of Prudential Tower. 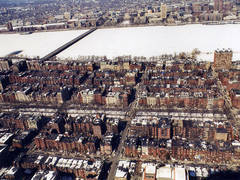 Boston, Massachusetts, January 25, 2005. 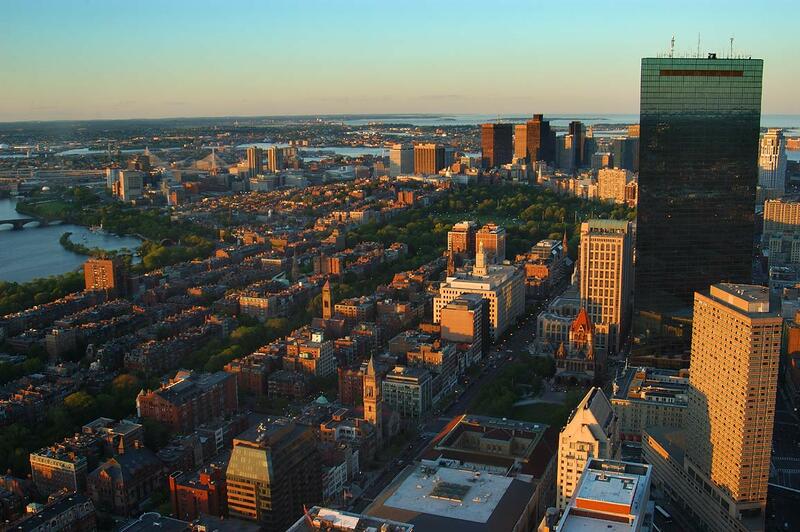 Hancock Tower, Boston Common and Financial Center at dusk, view to north-east from Skywalk observatory of Prudential Tower. 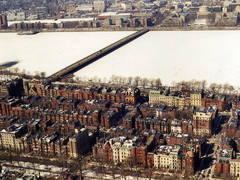 Boston, Massachusetts, January 25, 2005. 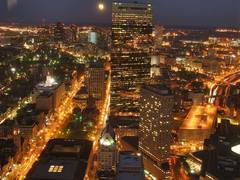 View to north-east from Skywalk observatory of Prudential Tower at night. 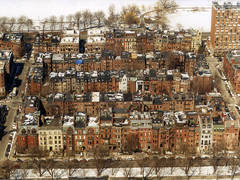 Boston, Massachusetts, January 25, 2005. 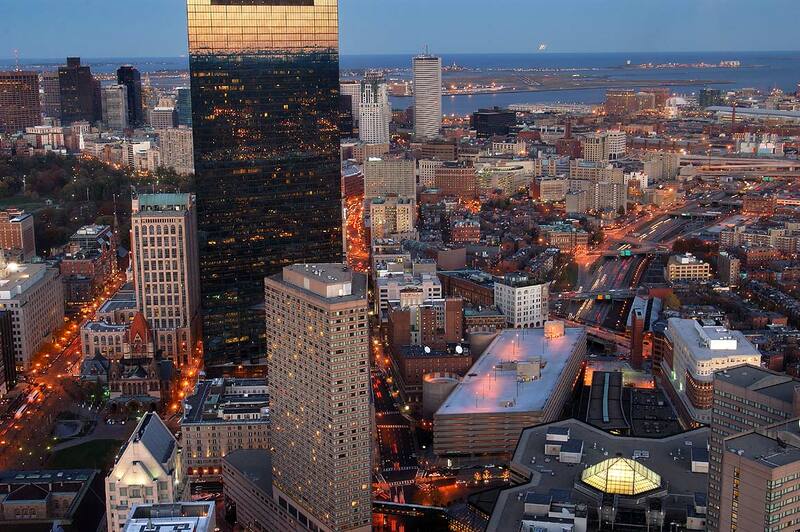 View to north-east from Skywalk observatory of Prudential Tower at dusk. 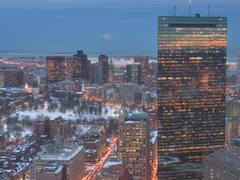 Boston, Massachusetts, January 25, 2005. 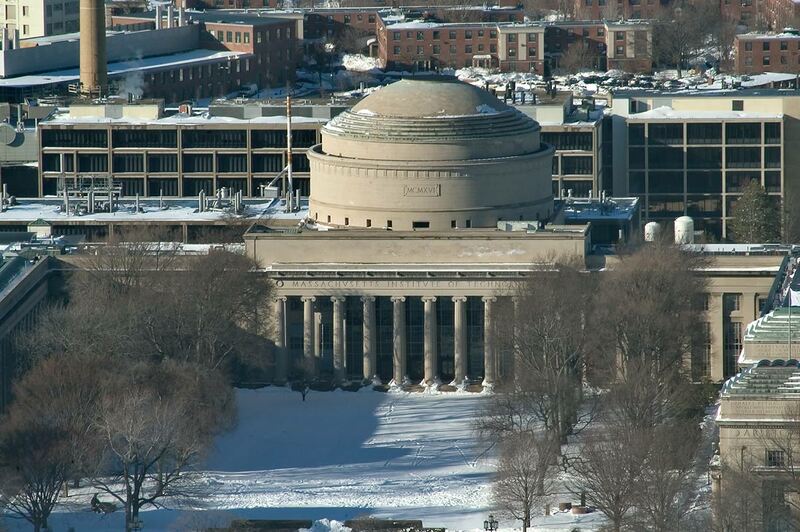 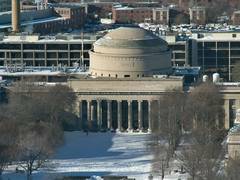 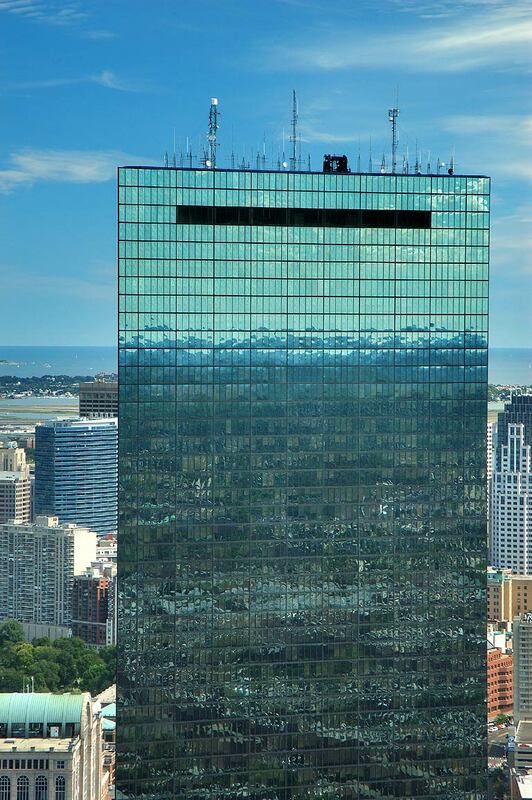 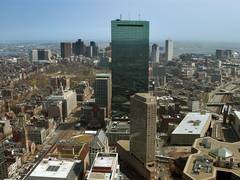 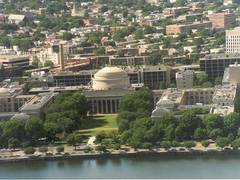 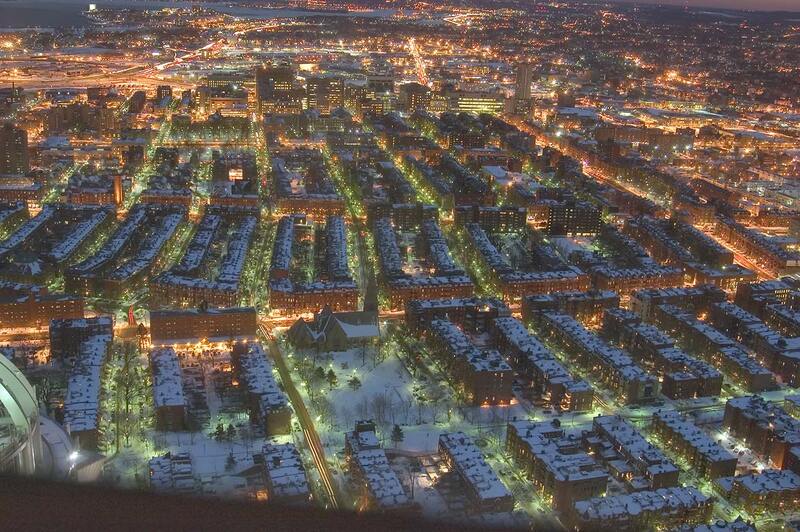 Massachusetts Institute of Technology in Cambridge, view from Skywalk observatory of Prudential Tower. 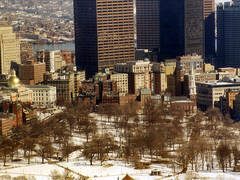 Boston, Massachusetts, January 25, 2005. 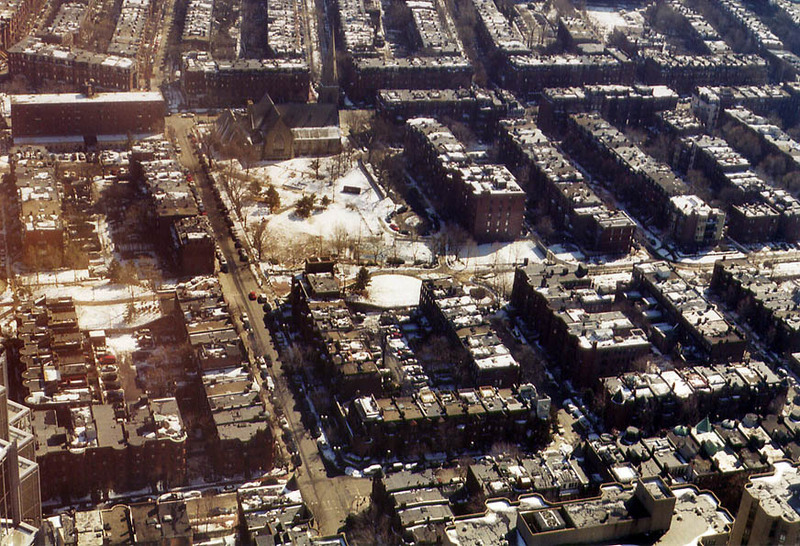 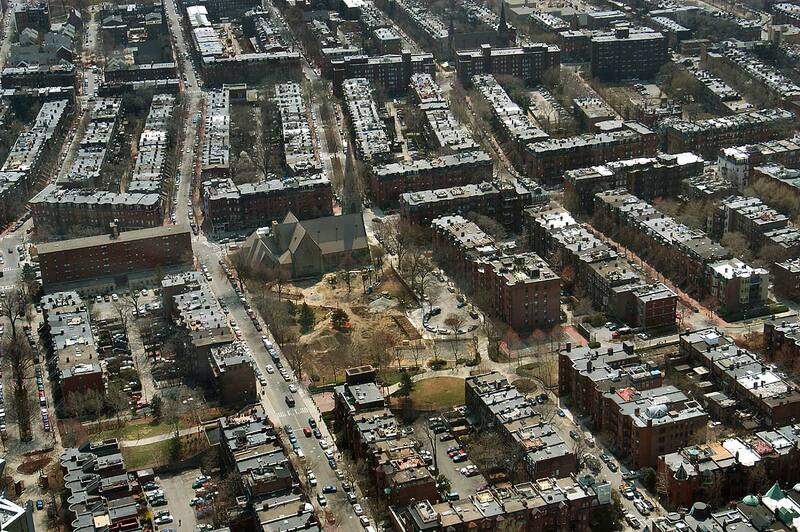 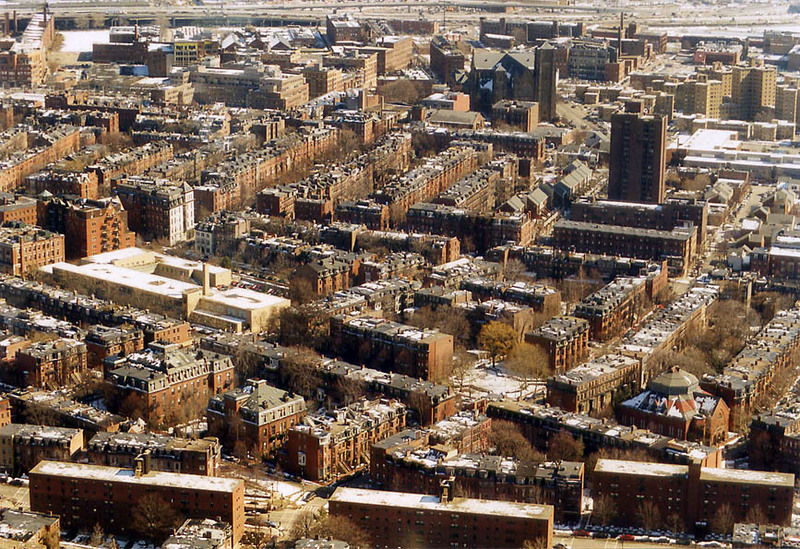 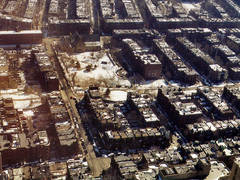 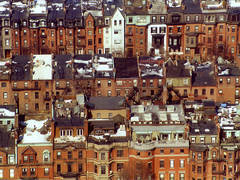 Rows of houses behind Commonwealth Avenue between Gloucester and Fairfield streets in Back Bay, view from Skywalk observatory of Prudential Tower. 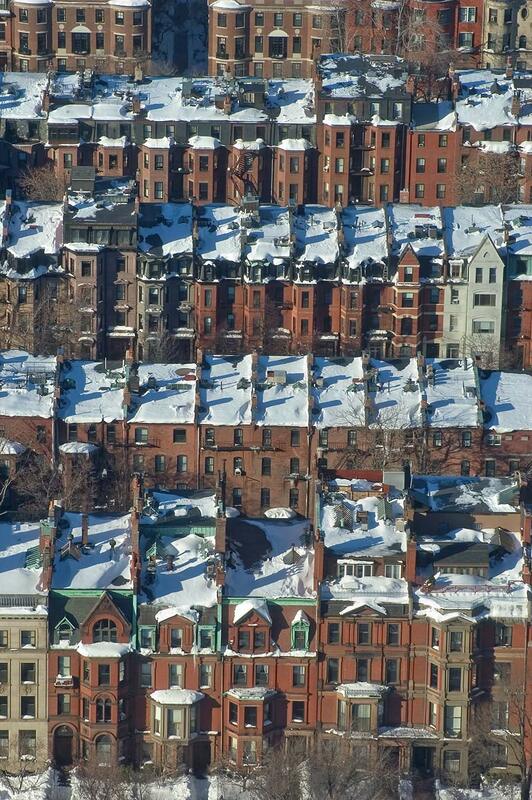 Boston, Massachusetts, January 25, 2005. 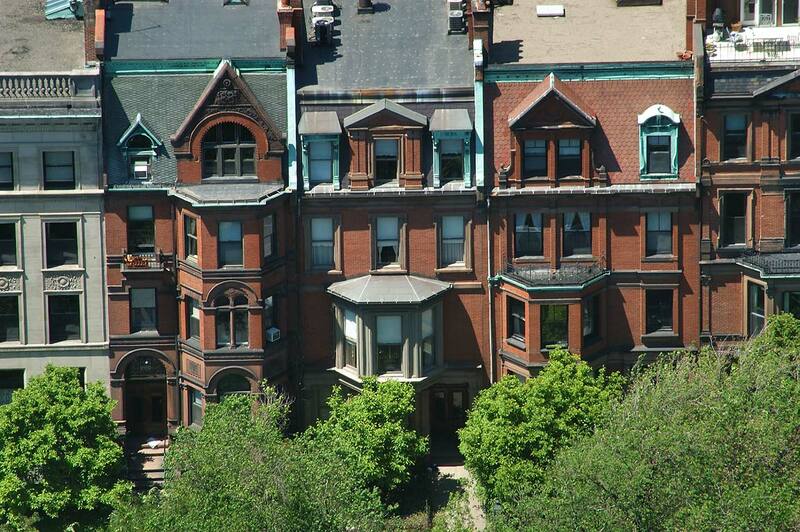 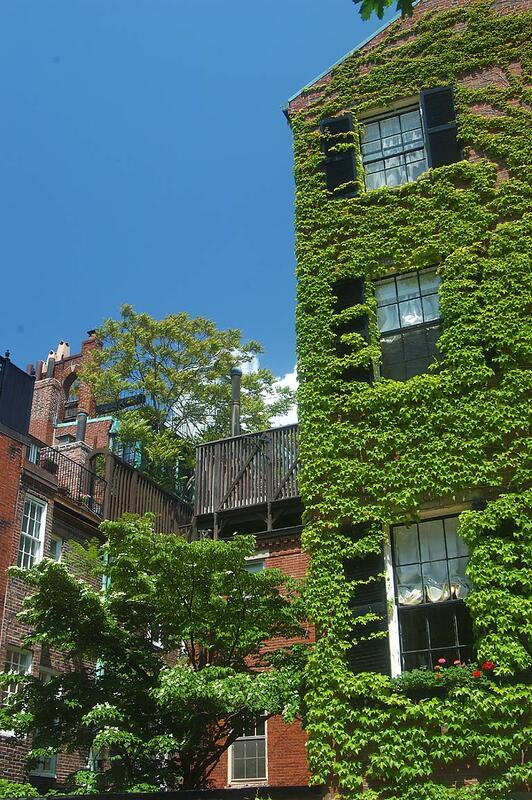 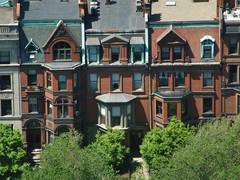 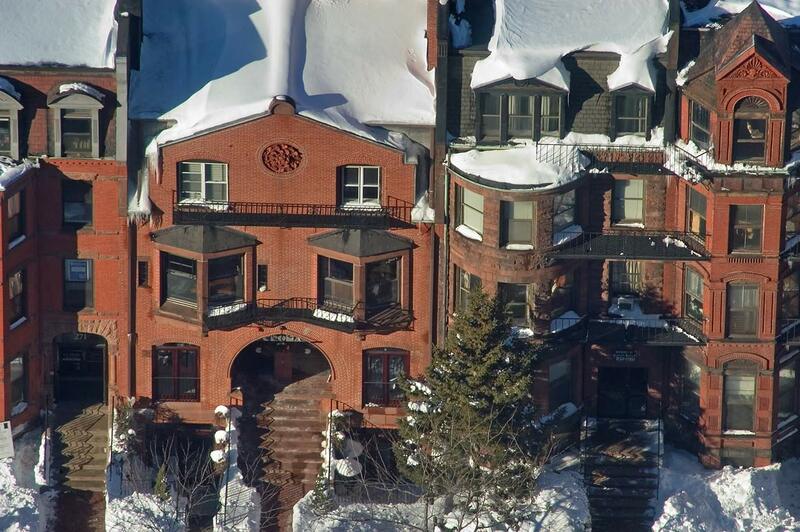 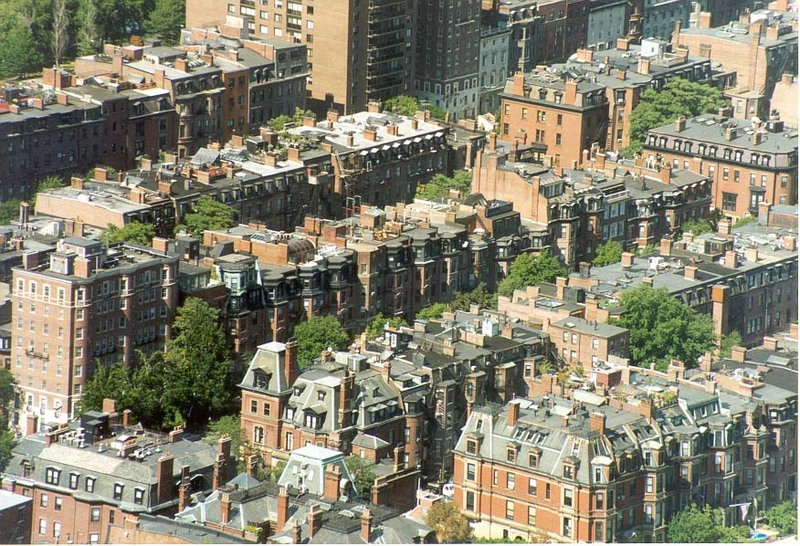 A house on Newbury Street between Gloucester and Fairfield streets in Back Bay (zoomed), view from Skywalk observatory of Prudential Tower. 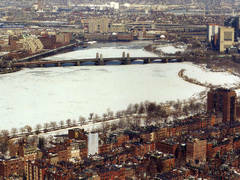 Boston, Massachusetts, January 25, 2005. 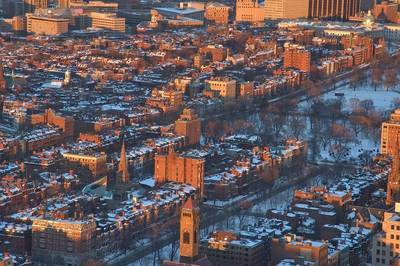 Beacon Hill and Boston Common from Skywalk of Prudential Tower. 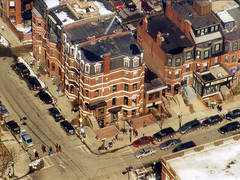 Massachusetts, March 8, 2003. 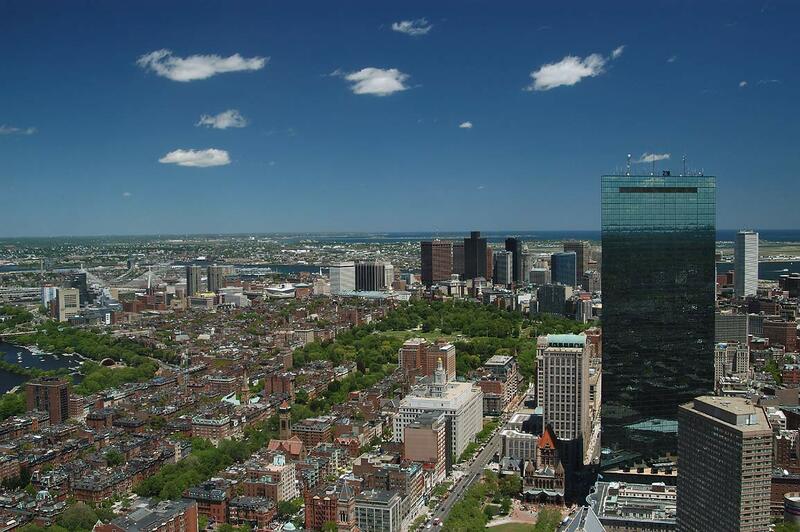 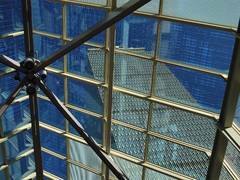 View to the east from Skywalk observatory of Prudential Tower. 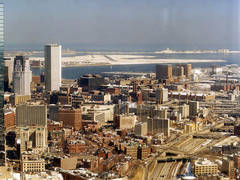 Boston, Massachusetts, November 9, 2003, 4:51 p.m.
View to the east from Skywalk observatory of Prudential Tower. 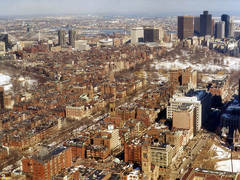 Boston, Massachusetts, November 9, 2003, 5:06 p.m.
View to the east from Skywalk observatory of Prudential Tower. 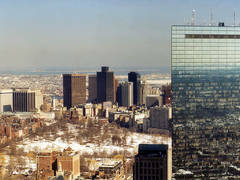 Boston, Massachusetts, November 9, 2003, 4:45 p.m.
Hancock Tower to the east from Skywalk observatory of Prudential Tower. 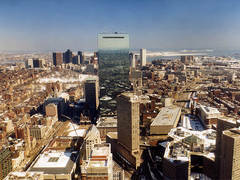 Boston, Massachusetts, November 9, 2003, 5:01 p.m.
Hancock Tower to the east from Skywalk observatory of Prudential Tower. 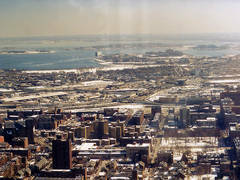 Boston, Massachusetts, November 9, 2003, 4:48 p.m.
Logan Airport from Skywalk observatory of Prudential Tower. 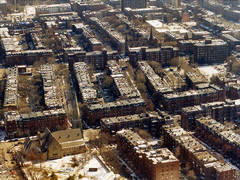 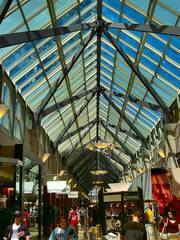 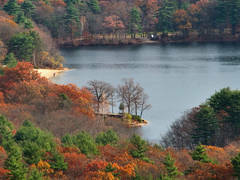 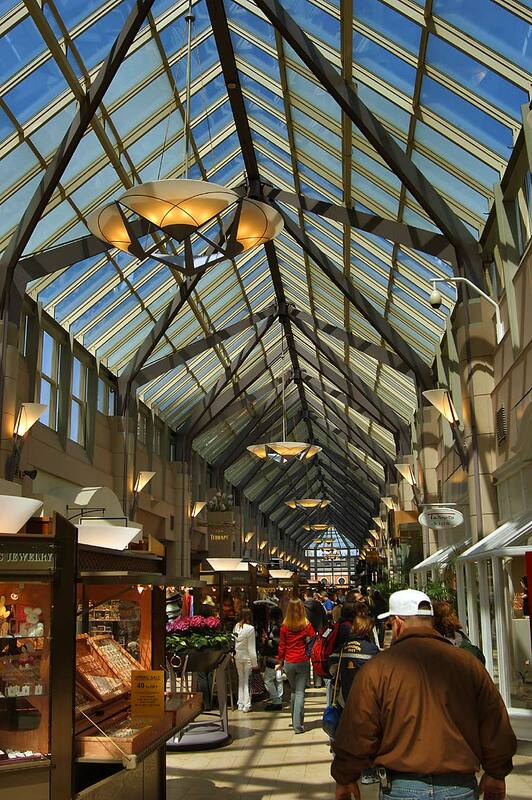 Boston, Massachusetts, November 9, 2003, 4:16 p.m. 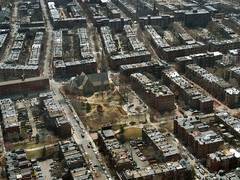 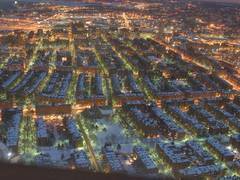 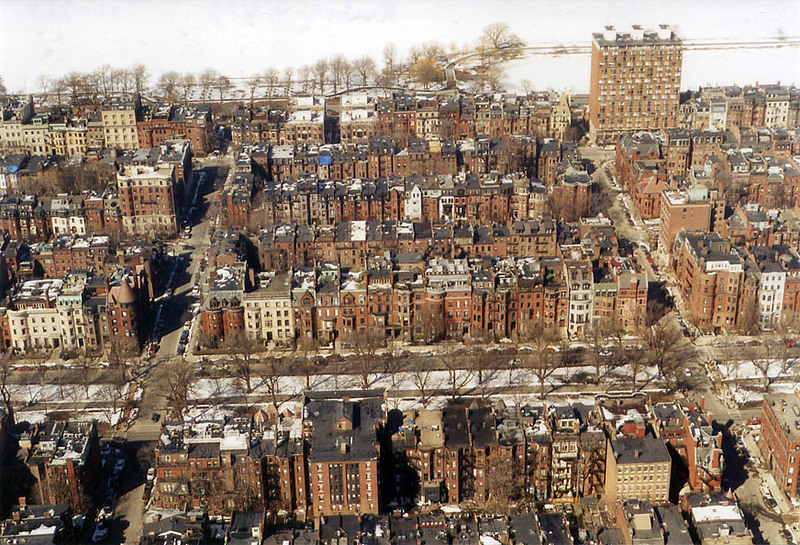 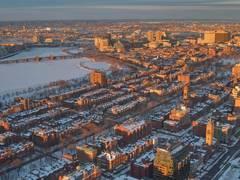 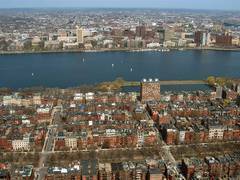 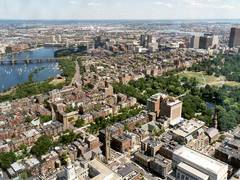 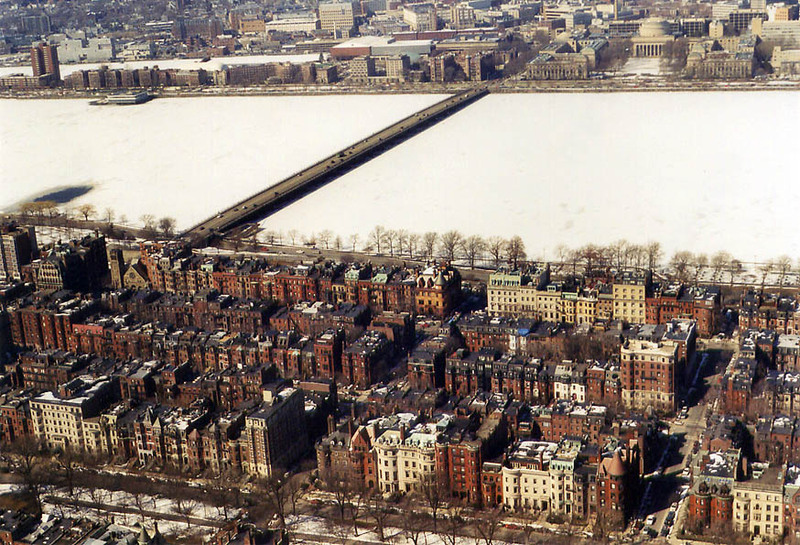 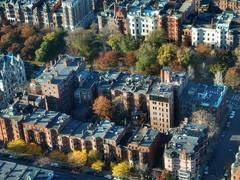 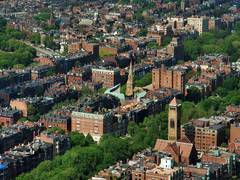 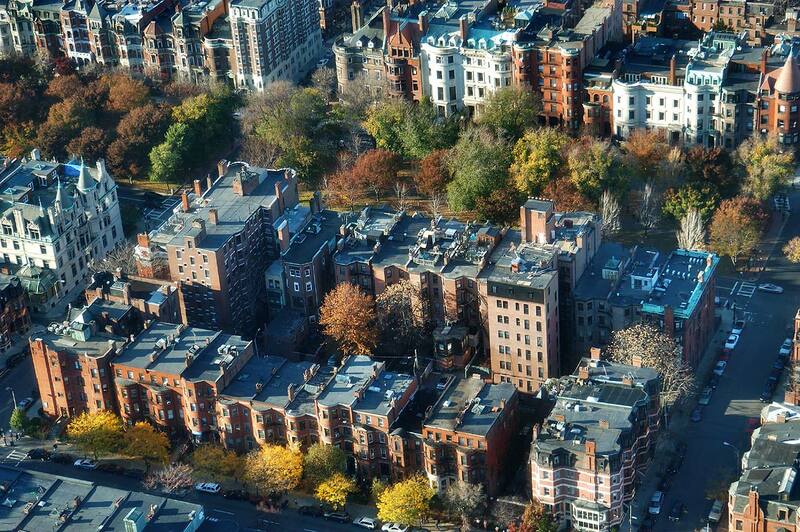 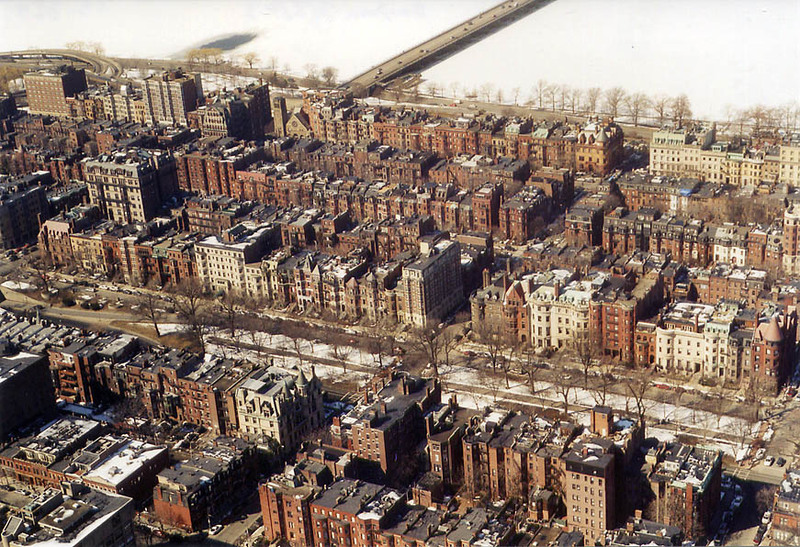 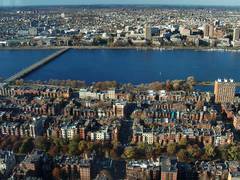 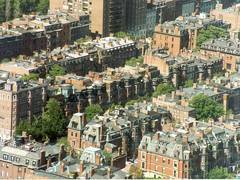 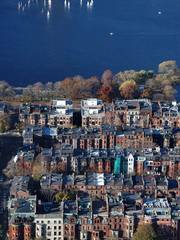 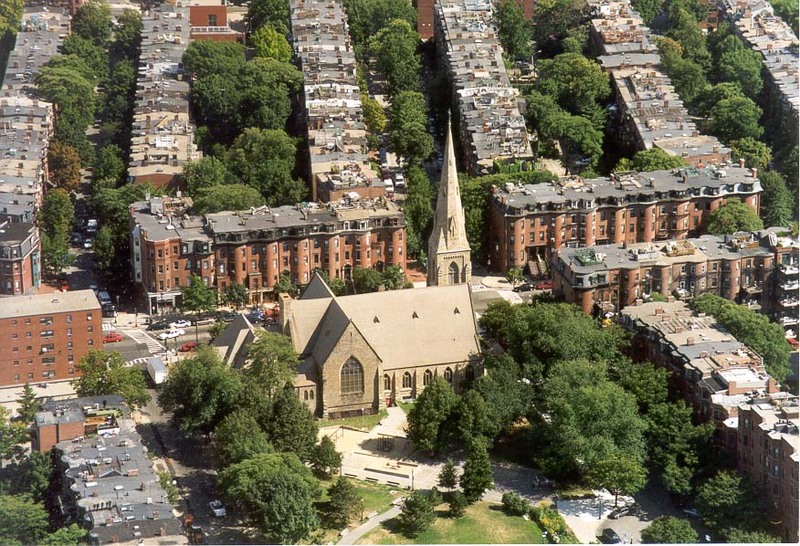 Houses between Commonwealth Avenue and Beacon Street east from Gloucester Street in Back Bay of Boston from Skywalk of Prudential Tower. 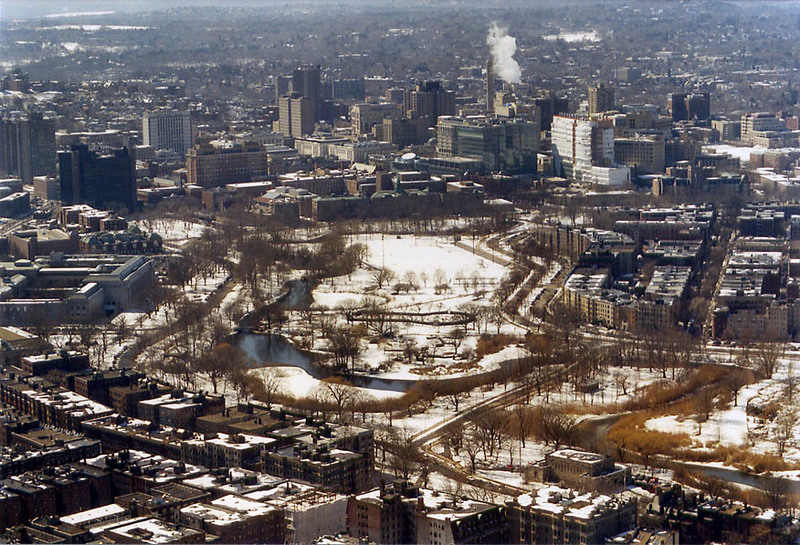 Massachusetts, March 8, 2003. 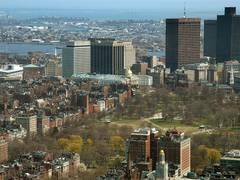 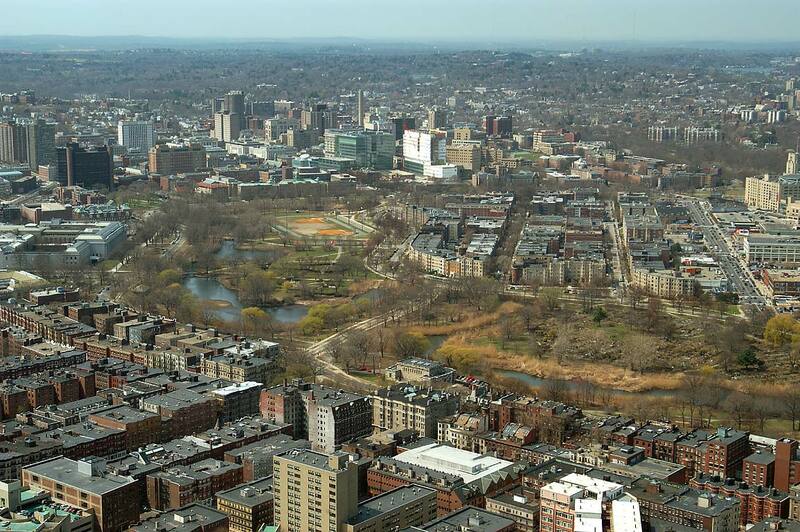 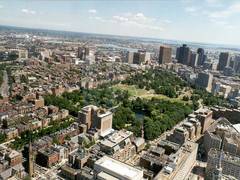 View of the area around Commonwealth Avenue and Boston Common from an observatory of Prudential Tower, Boston. 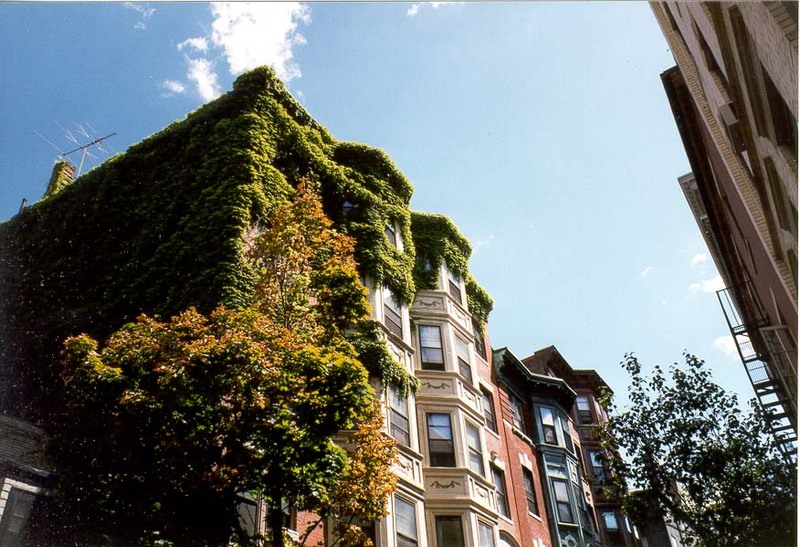 Massachusetts, August 2, 1999. 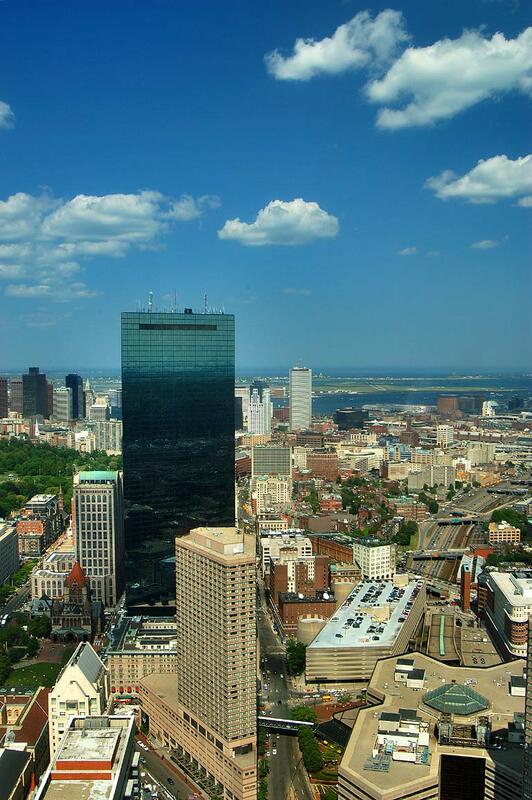 View south from Skywalk of Prudential Tower. 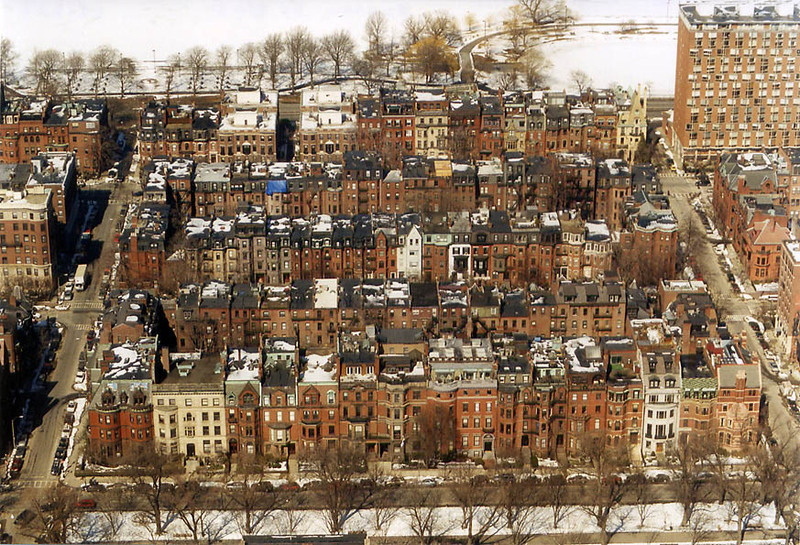 Boston, Massachusetts, March 8, 2003. 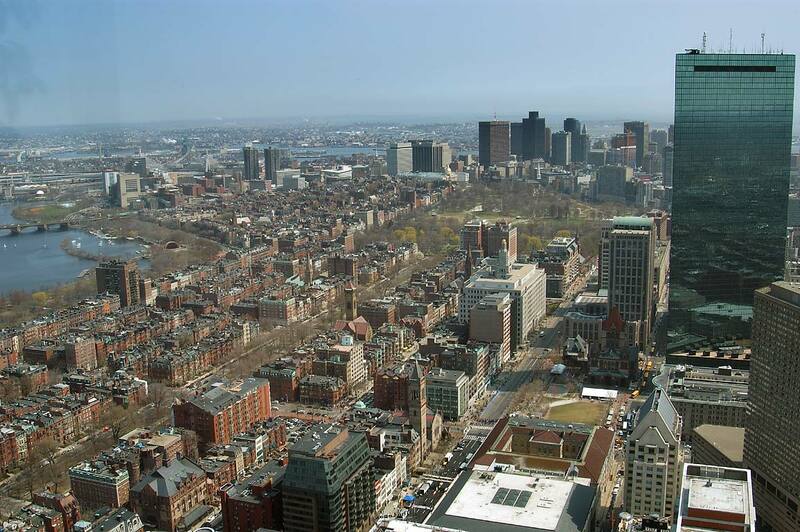 View of South End from an observatory of Prudential Tower, Boston. 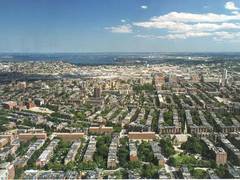 Massachusetts, August 2, 1999. 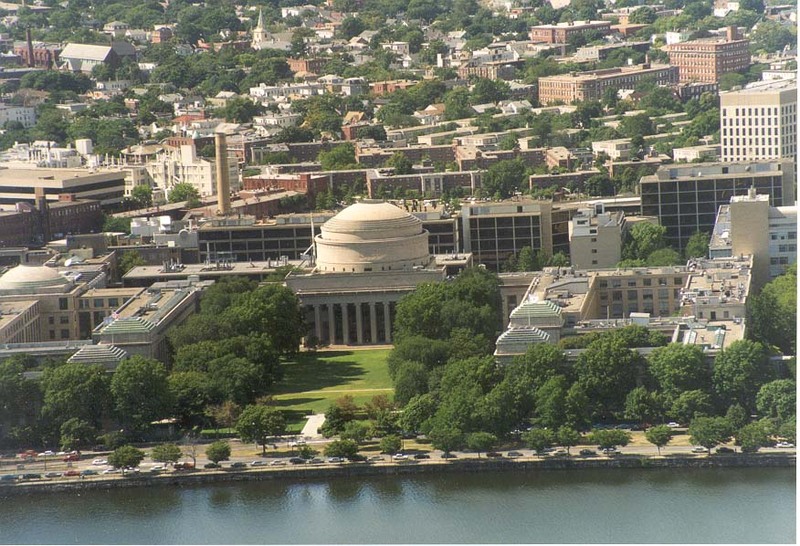 View of Massachusetts Institute of Technology in Cambridge from an observatory of Prudential Tower, Boston. 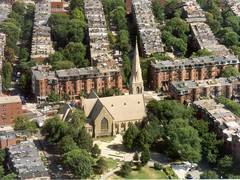 Massachusetts, August 2, 1999. 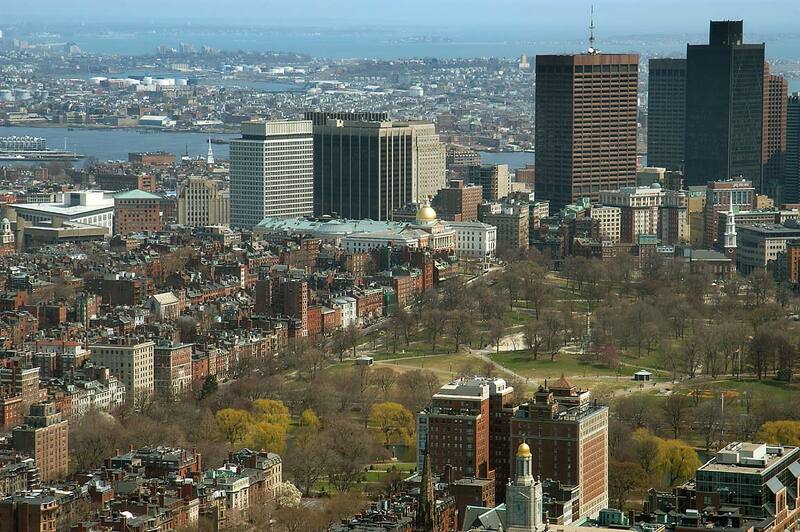 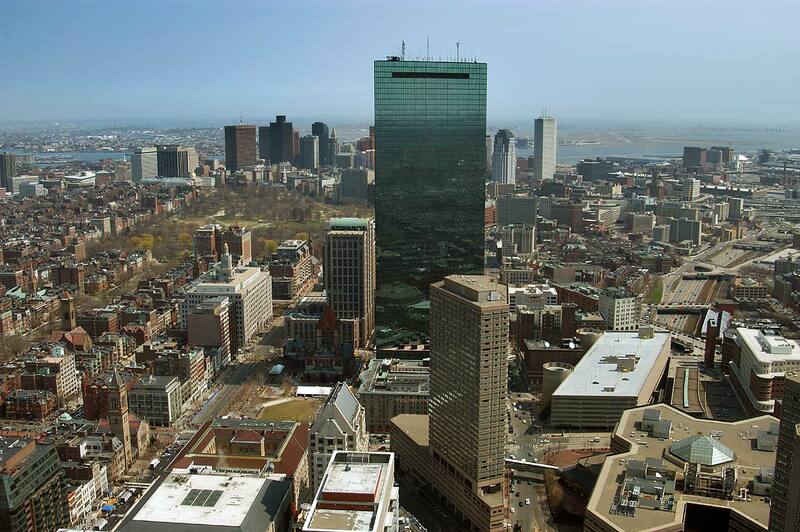 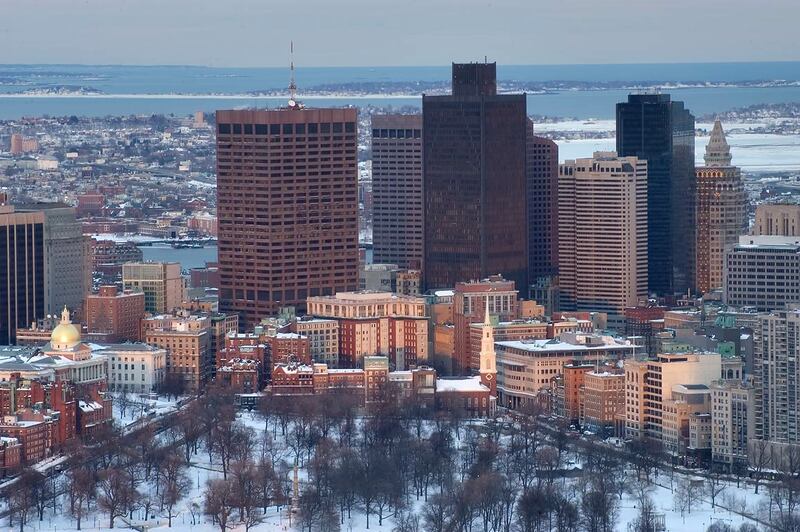 View of buildings of Back Bay from an observatory of Prudential Tower, Boston. 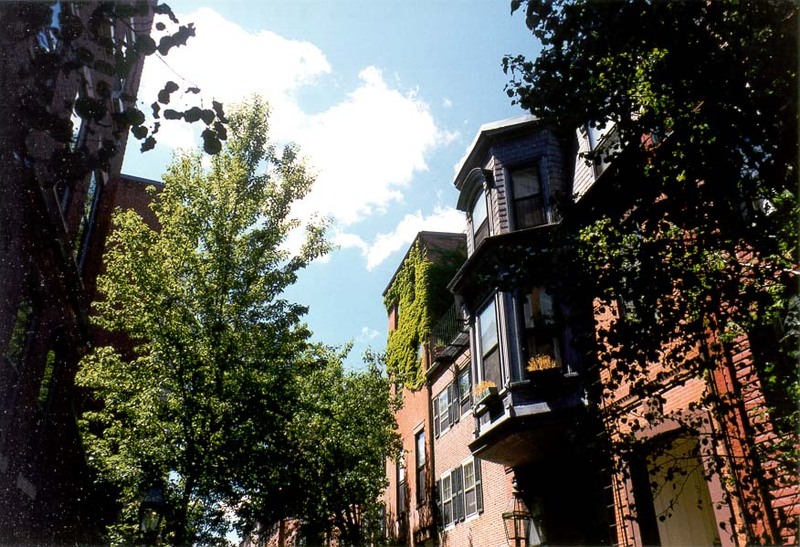 Massachusetts, August 2, 1999. 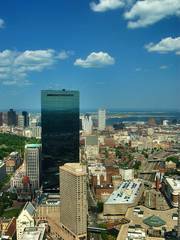 Boston Common and Hancock Tower from Skywalk of Prudential Tower. 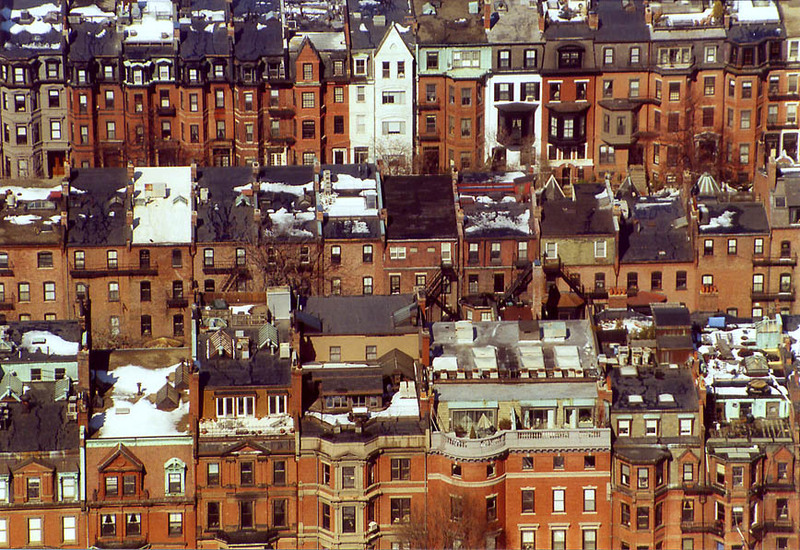 Massachusetts, March 8, 2003. 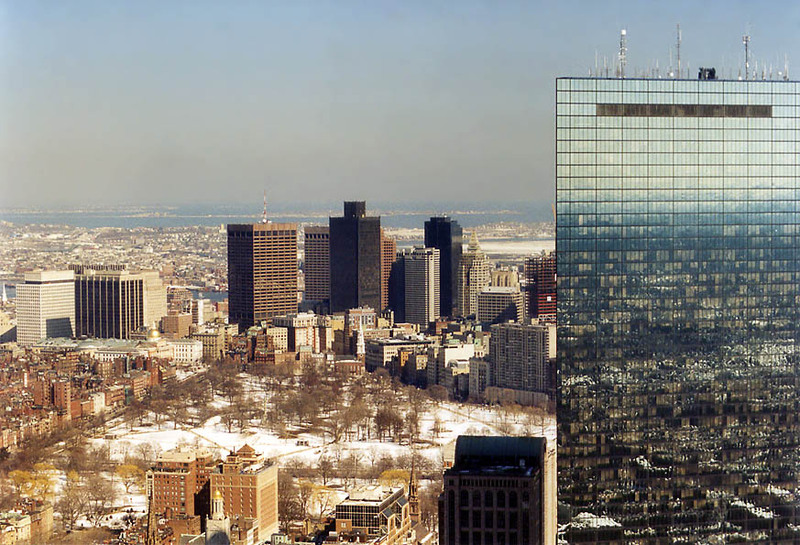 Hancock Tower and downtown Boston from Skywalk of Prudential Tower. 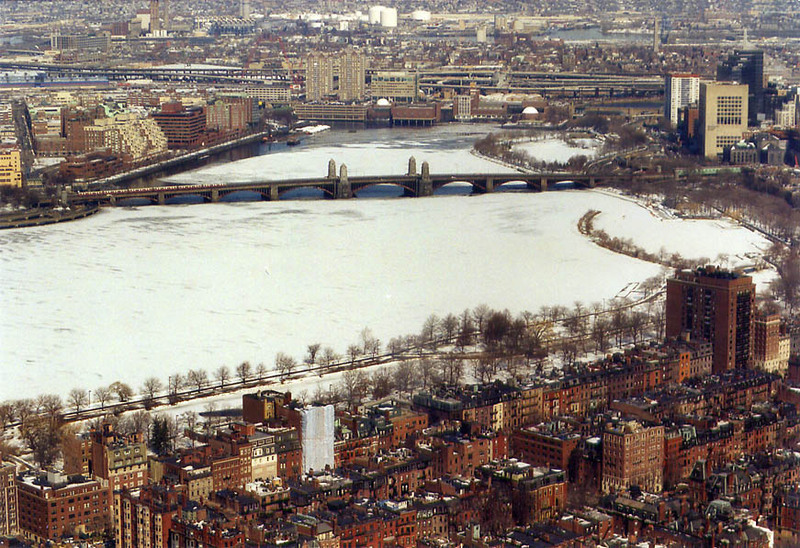 Massachusetts, March 8, 2003. 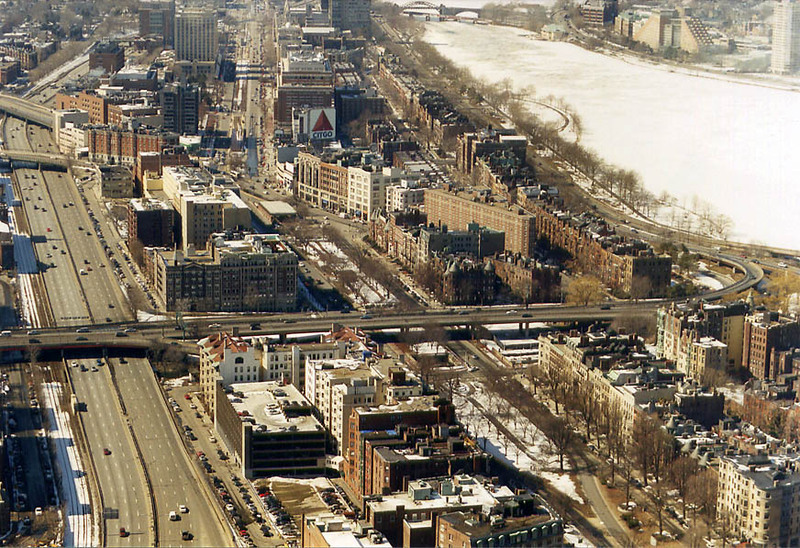 Massachusetts Turnpike and Commonwealth Avenue in Boston from Skywalk of Prudential Tower. 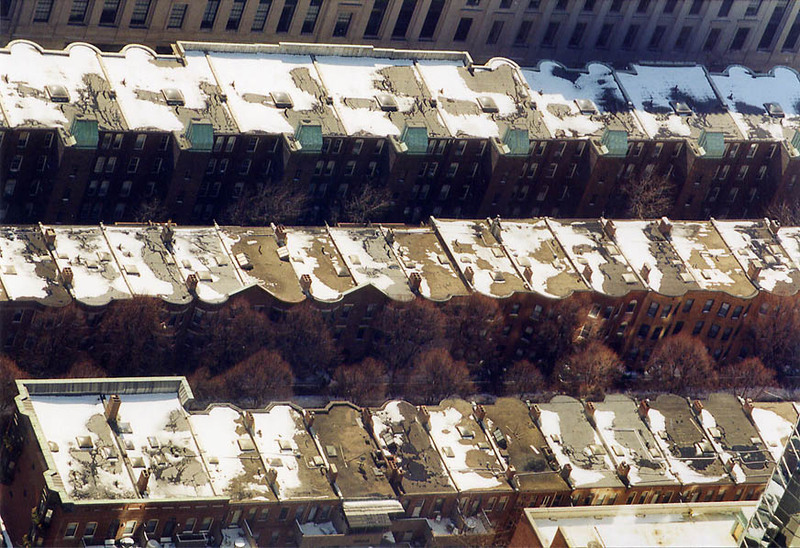 Massachusetts, March 8, 2003. 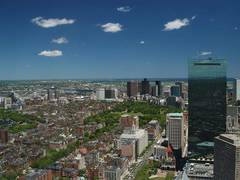 South End of Boston from Skywalk of Prudential Tower. 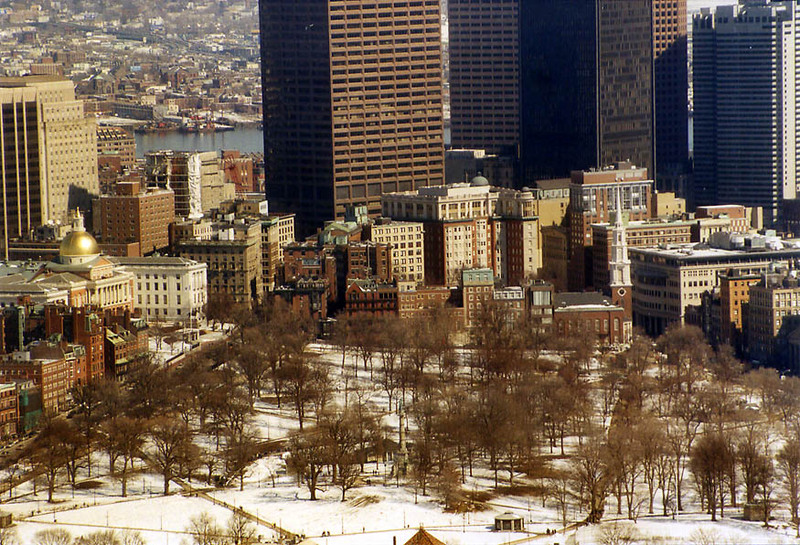 Massachusetts, March 8, 2003. 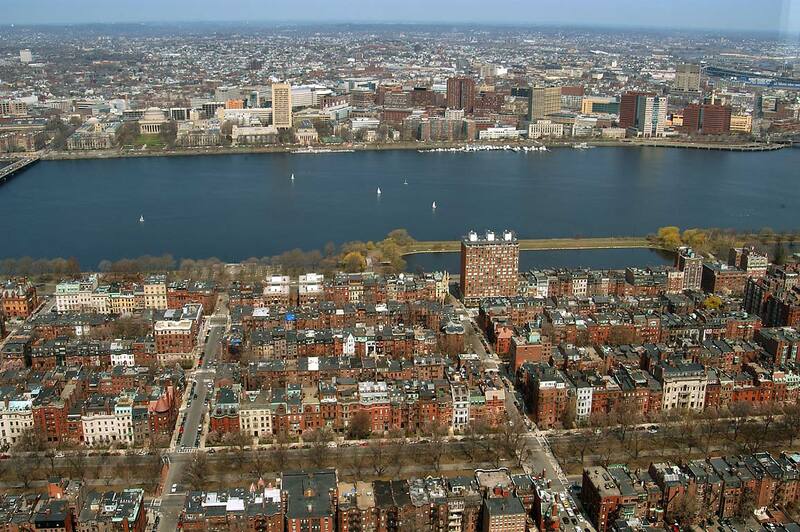 Back Bay in Boston from Skywalk of Prudential Tower. 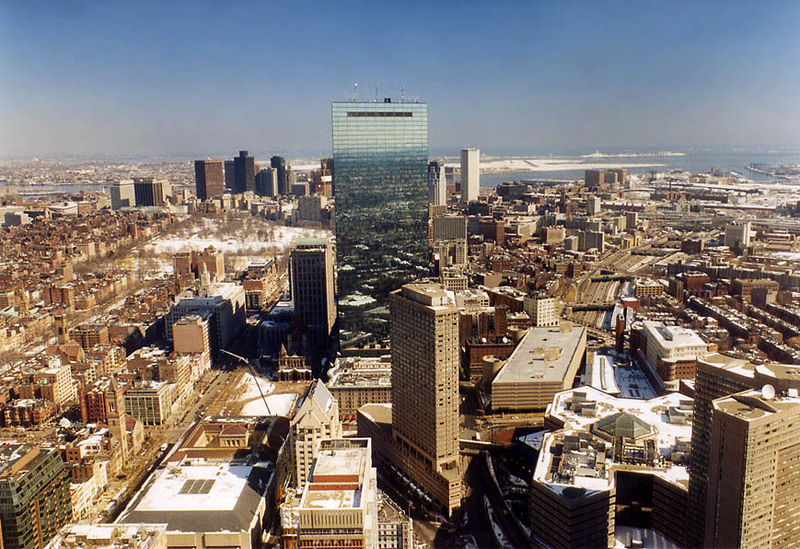 Massachusetts, March 8, 2003. 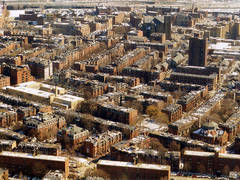 Boston south(?) 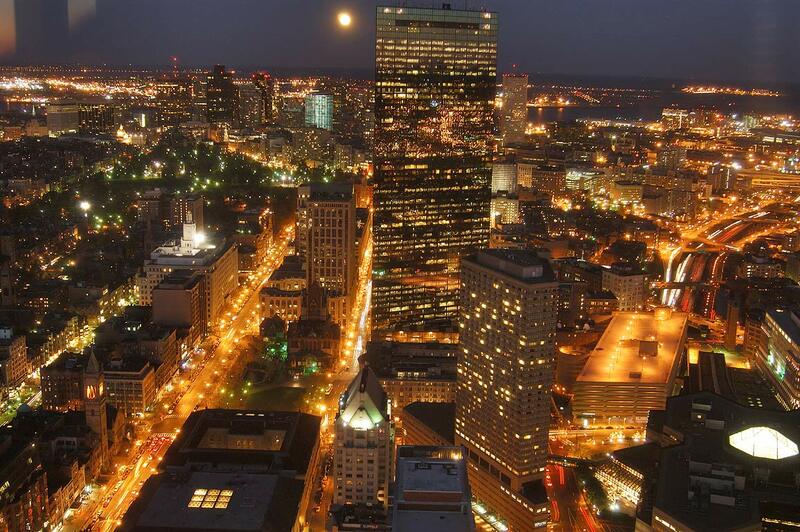 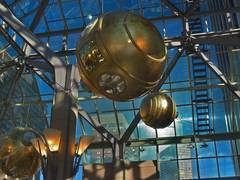 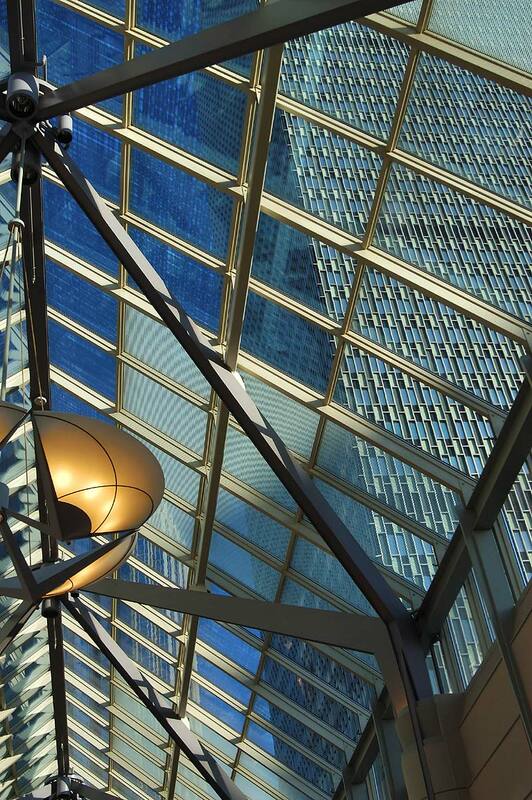 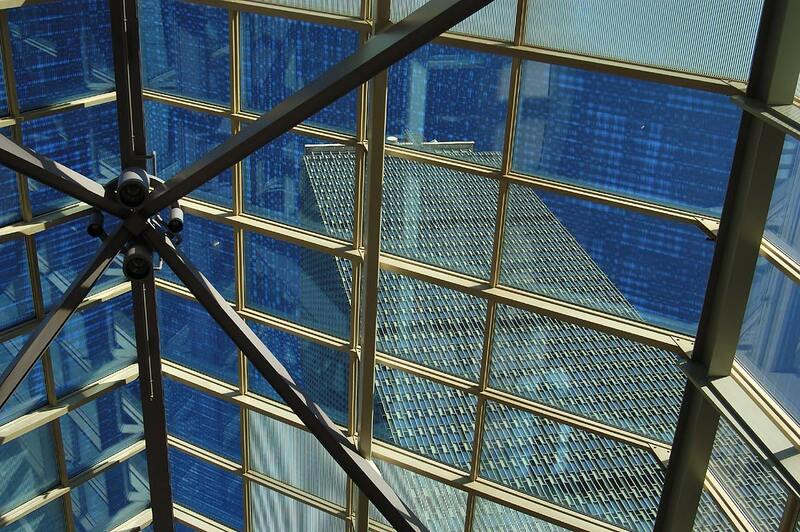 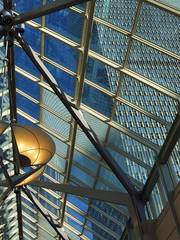 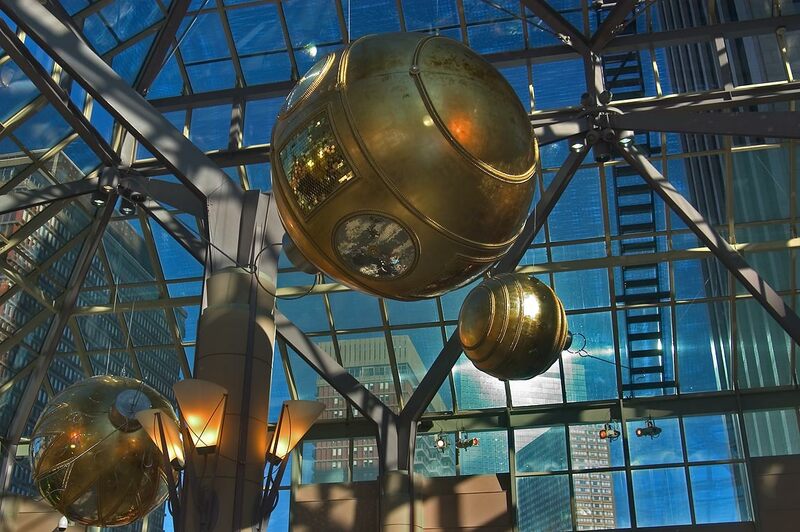 from Skywalk of Prudential Tower. 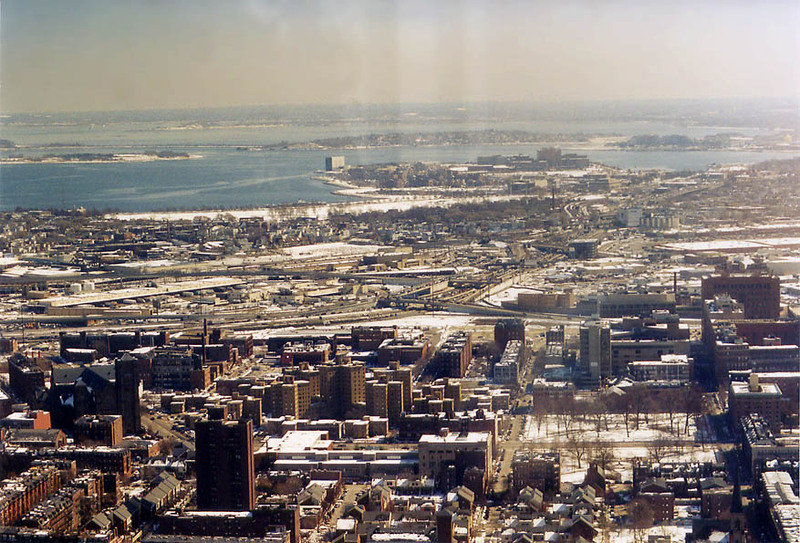 Massachusetts, March 8, 2003. 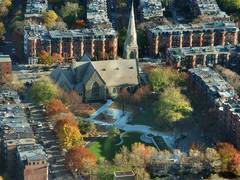 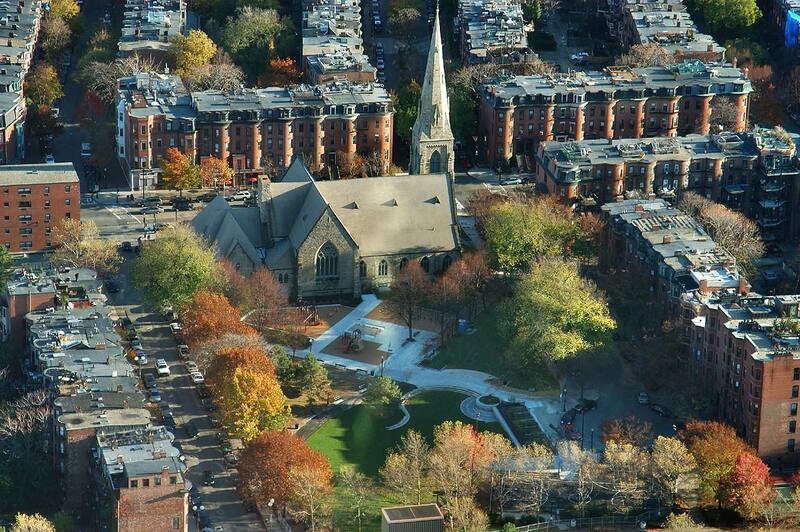 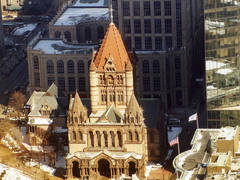 Trinity Church in Boston from Skywalk of Prudential Tower. 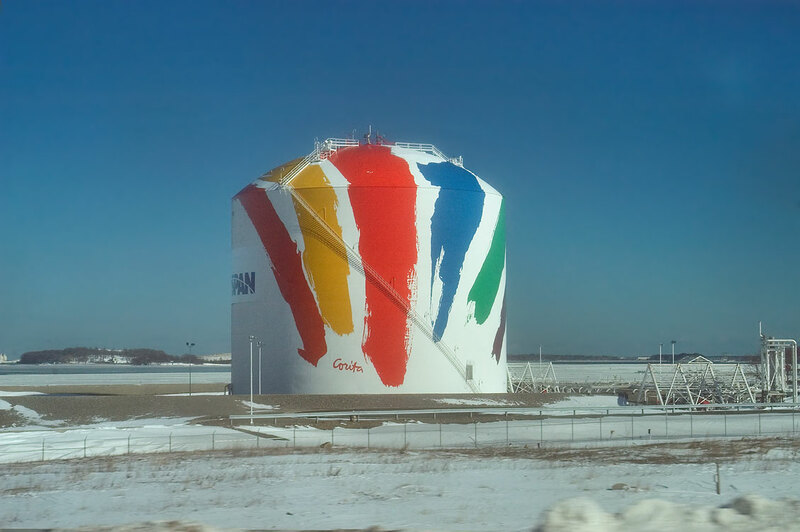 Massachusetts, March 8, 2003. 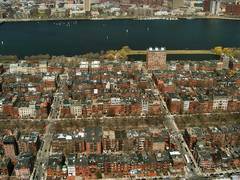 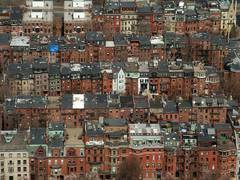 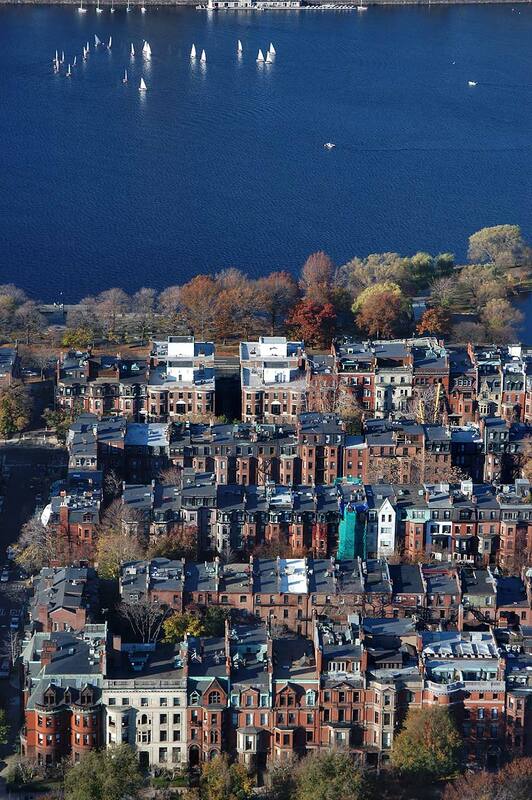 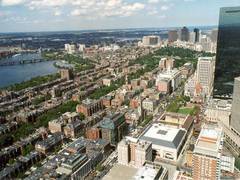 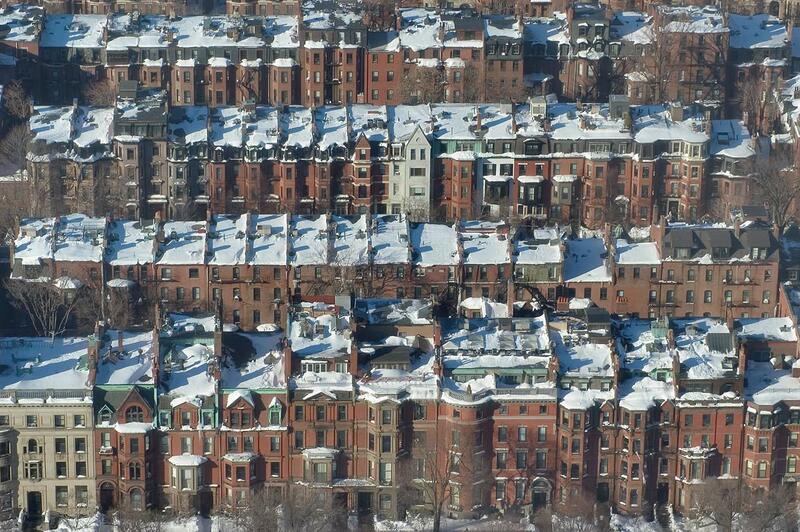 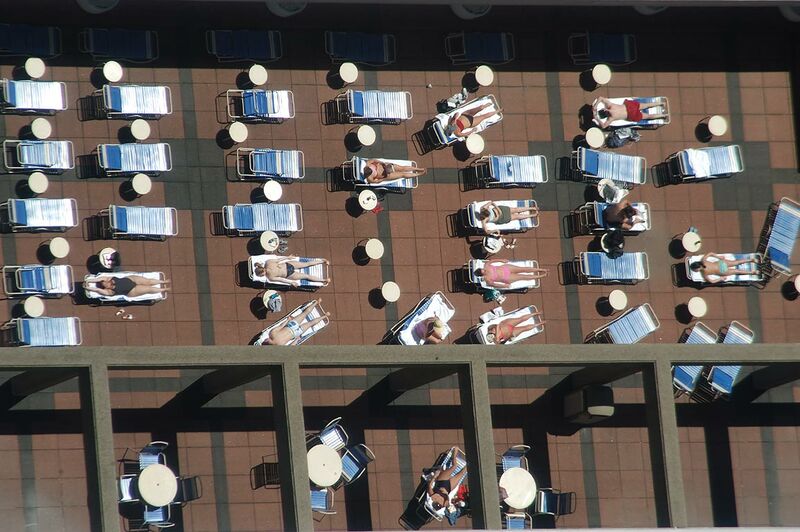 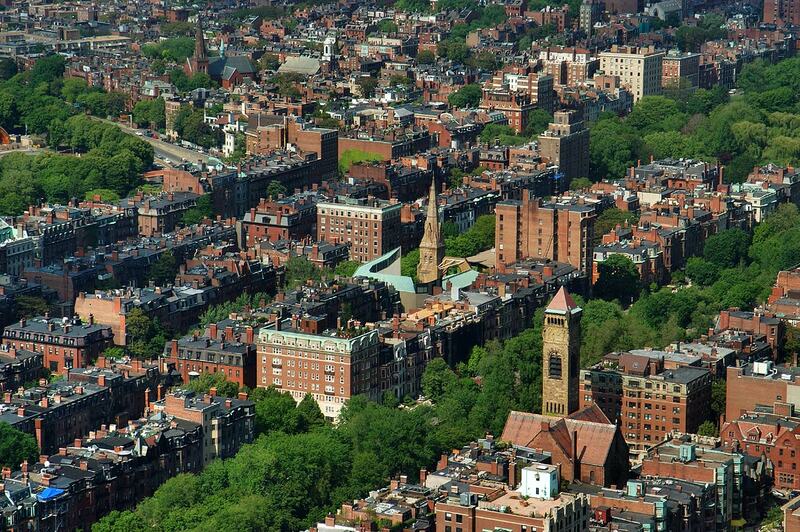 Houses of Back Bay in Boston from Skywalk of Prudential Tower. 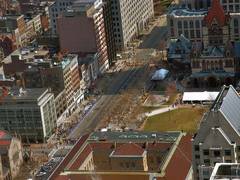 Massachusetts, March 8, 2003. 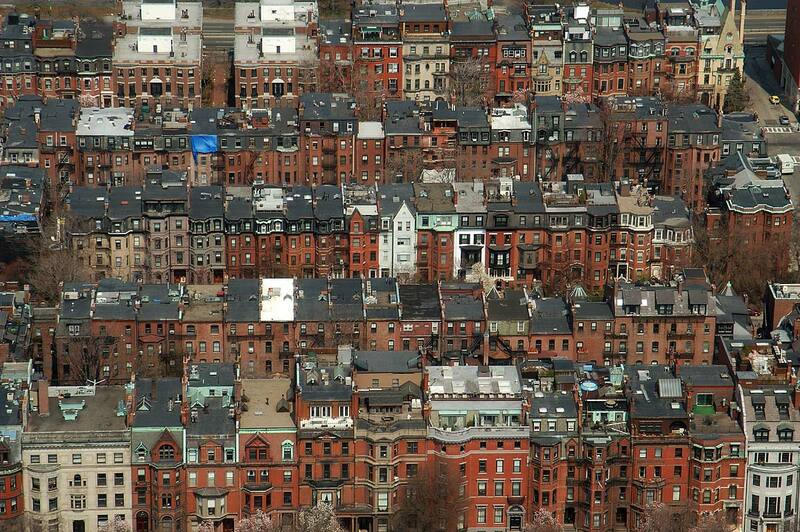 South End of Boston (zoomed) from Skywalk of Prudential Tower. 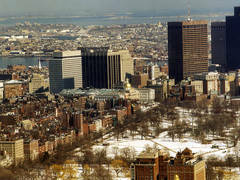 Massachusetts, March 8, 2003. 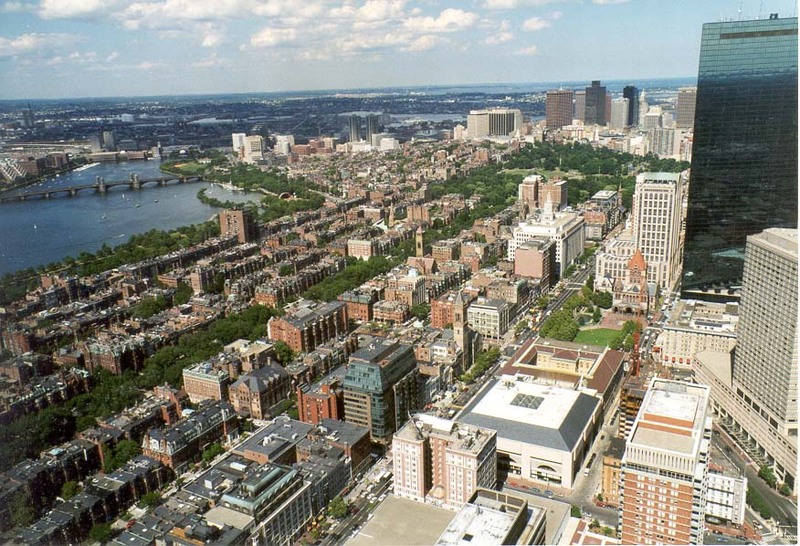 Commonwealth Avenue and Back Bay in Boston from Skywalk of Prudential Tower. 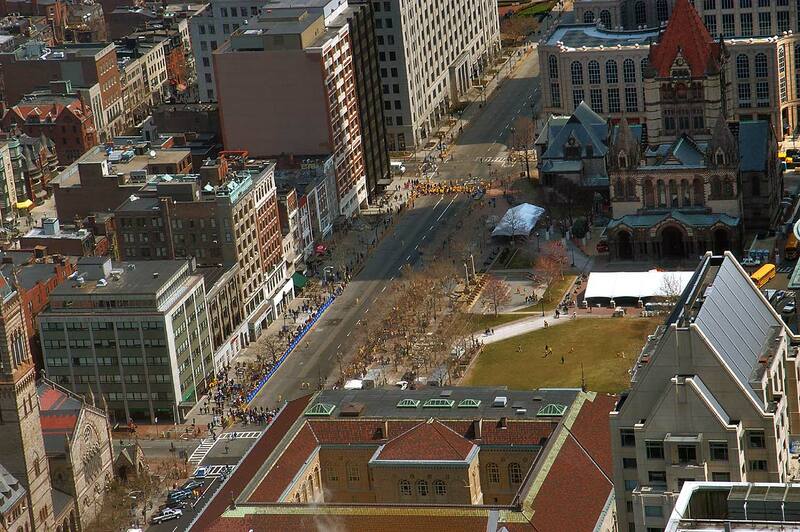 Massachusetts, March 8, 2003. 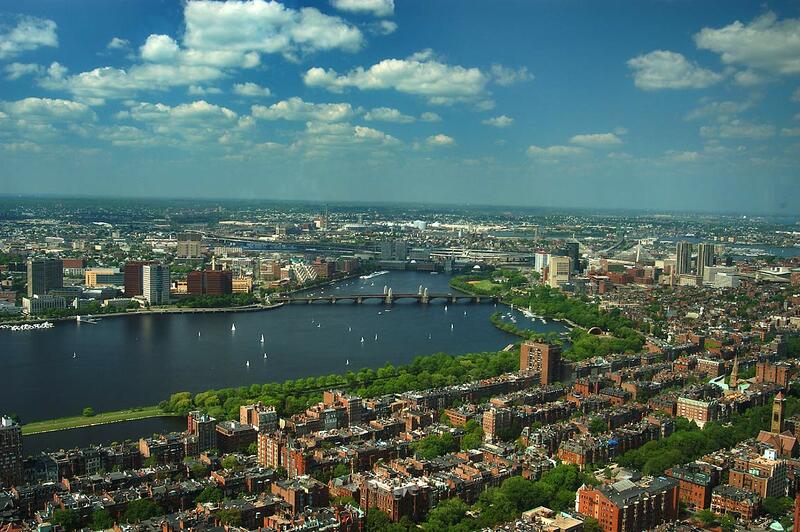 Back Bay and Charles River in Boston from Skywalk of Prudential Tower. 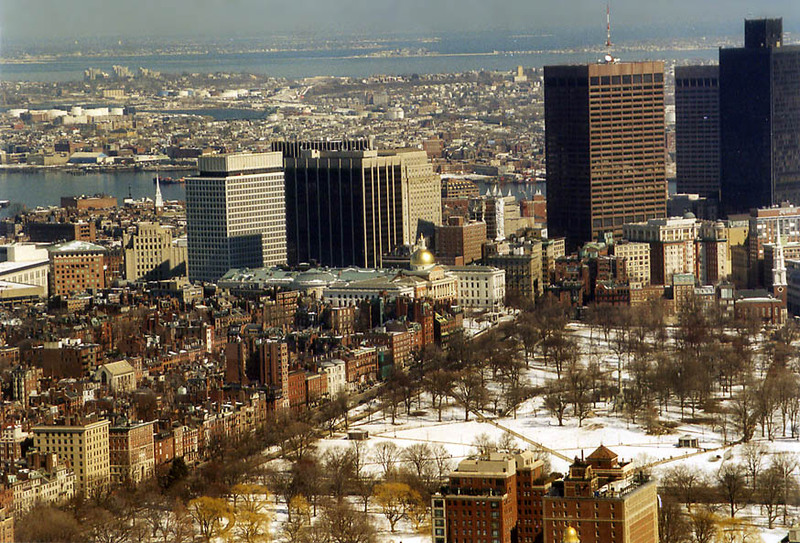 Massachusetts, March 8, 2003. 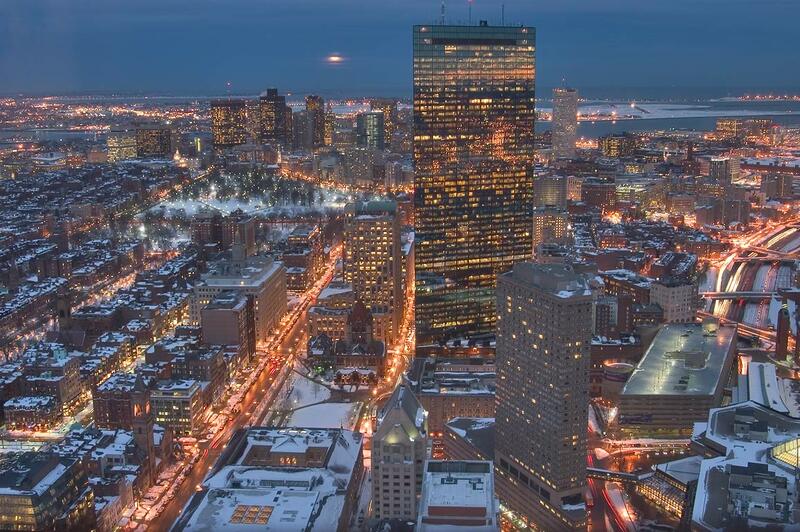 Boston Common and Financial District from Skywalk of Prudential Tower. 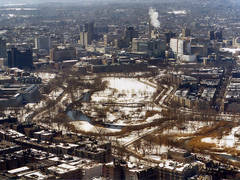 Massachusetts, March 8, 2003. 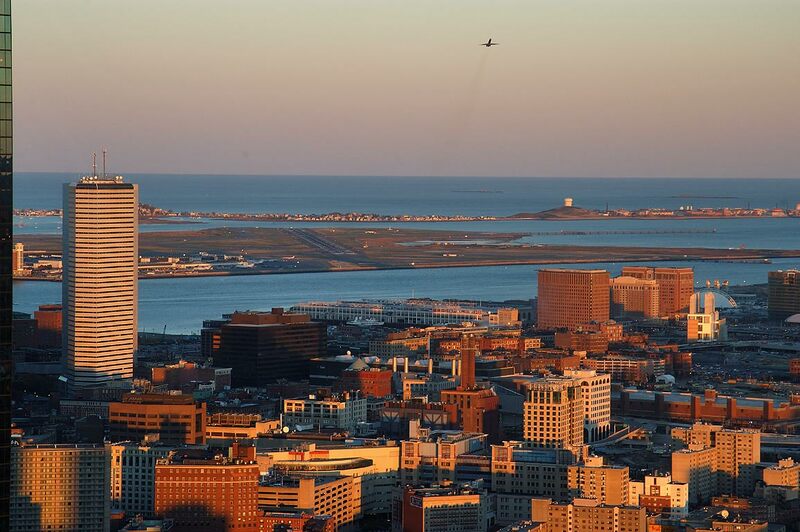 Southern downtown Boston and Logan Airport from Skywalk of Prudential Tower. 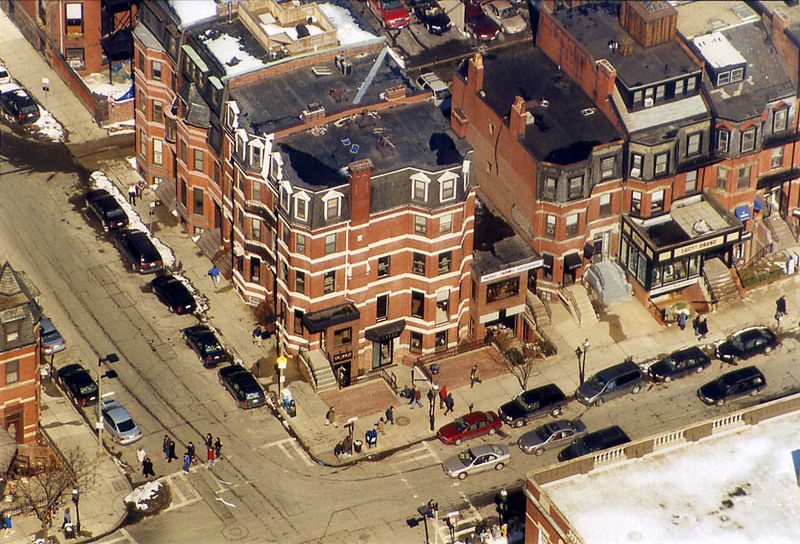 Massachusetts, March 8, 2003. 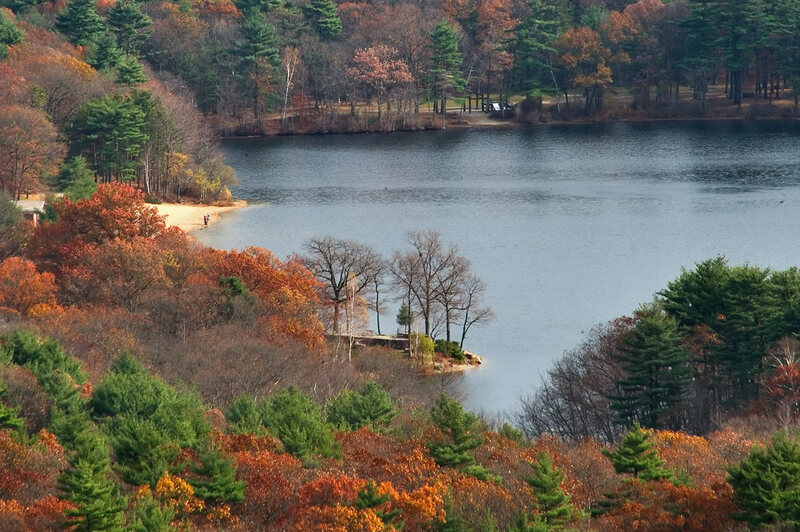 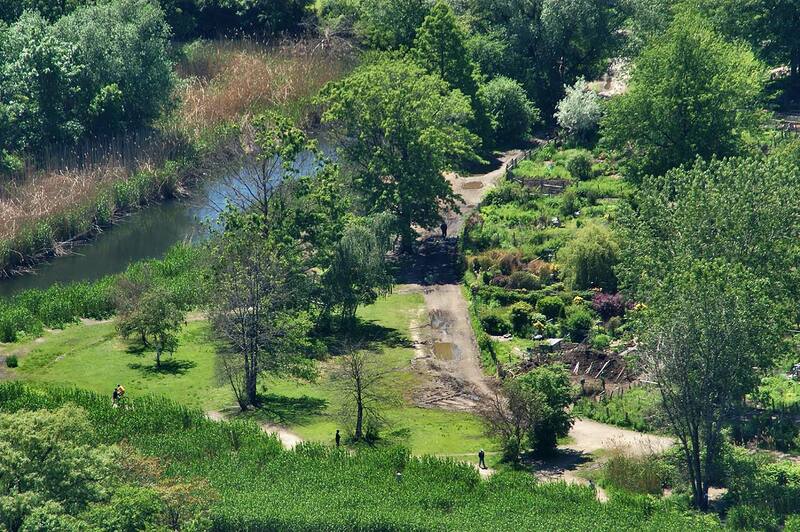 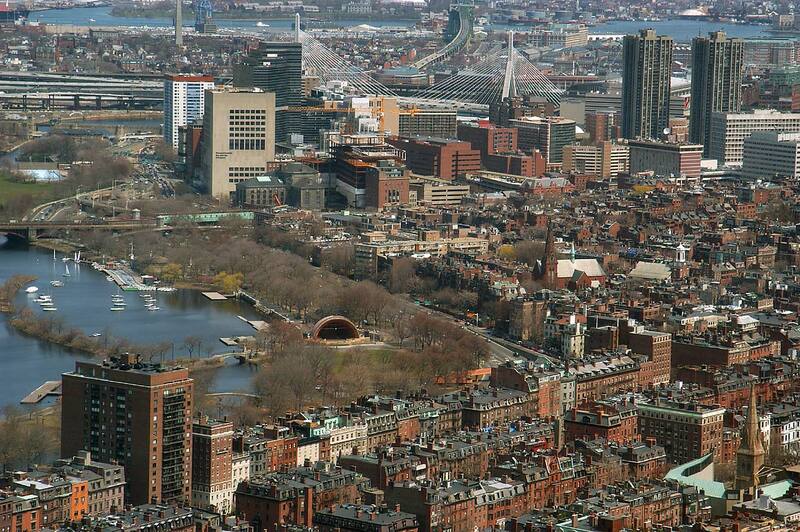 Muddy River and Back Bay Fens in Boston from Skywalk of Prudential Tower. 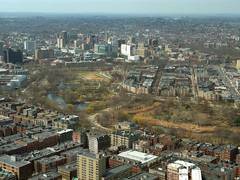 Massachusetts, March 8, 2003. 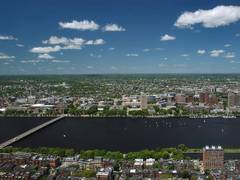 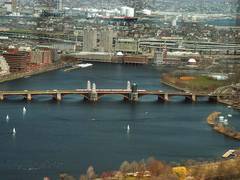 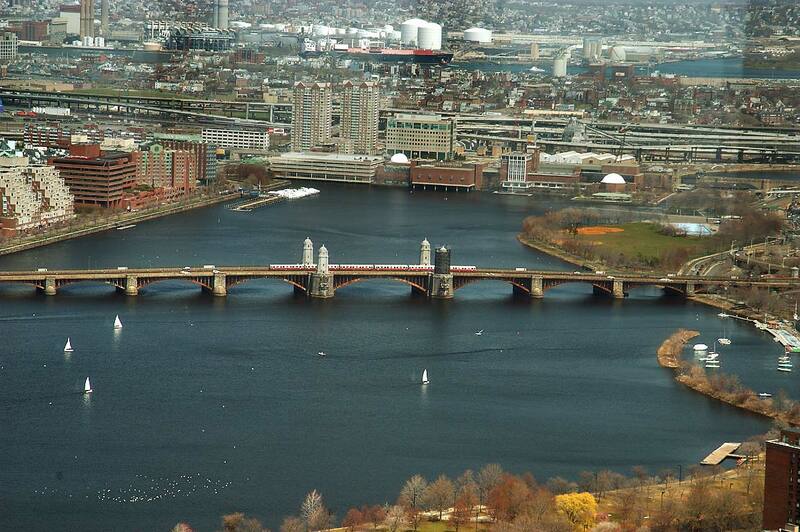 Charles River and Longfellow Bridge in Boston from Skywalk of Prudential Tower. 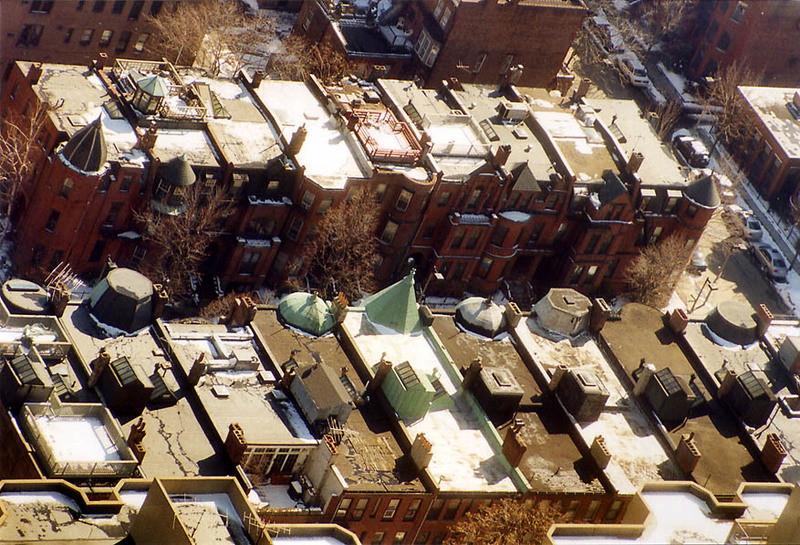 Massachusetts, March 8, 2003. 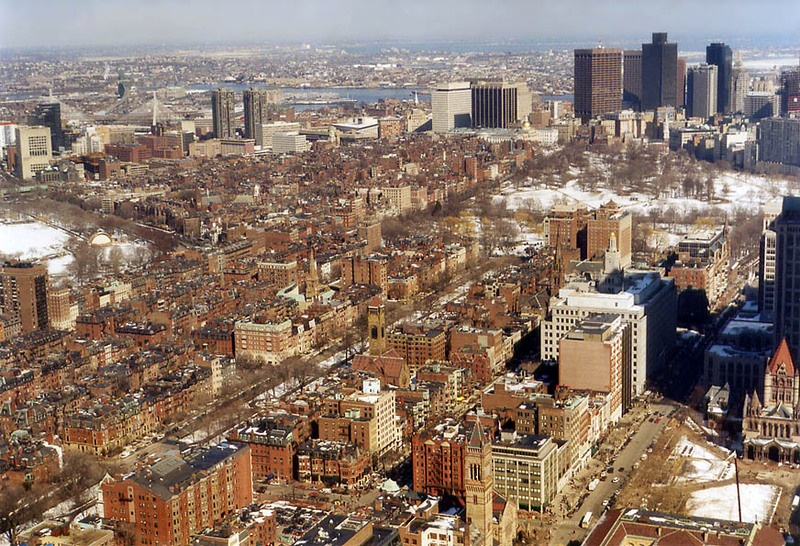 Area west from Financial District in Boston from Skywalk of Prudential Tower. 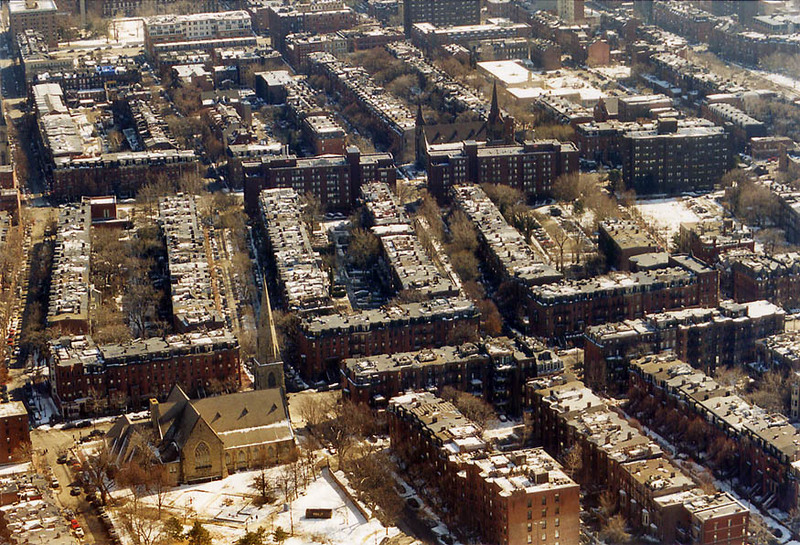 Massachusetts, March 8, 2003. 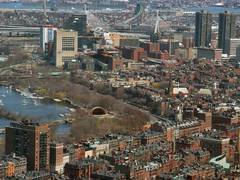 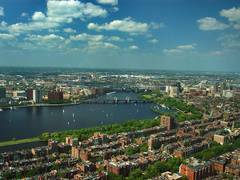 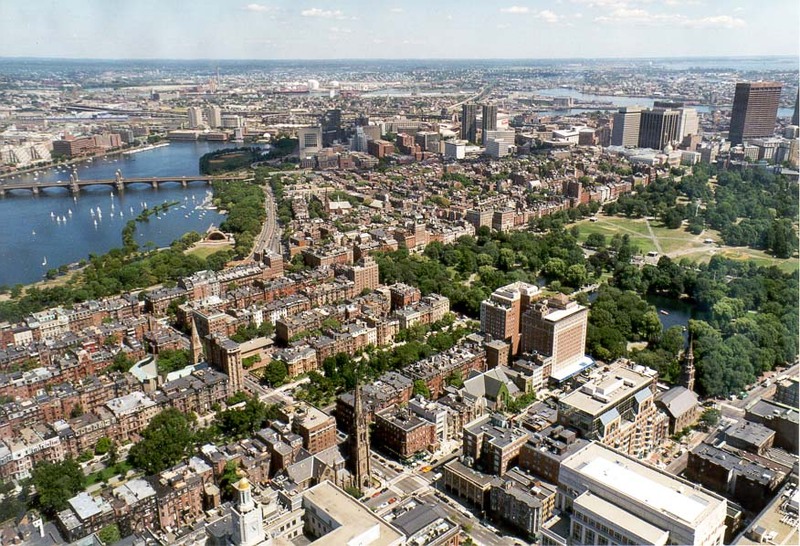 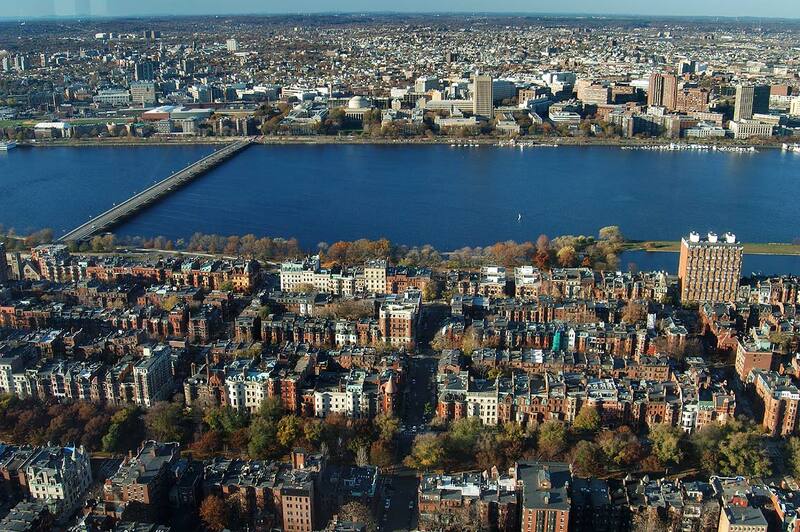 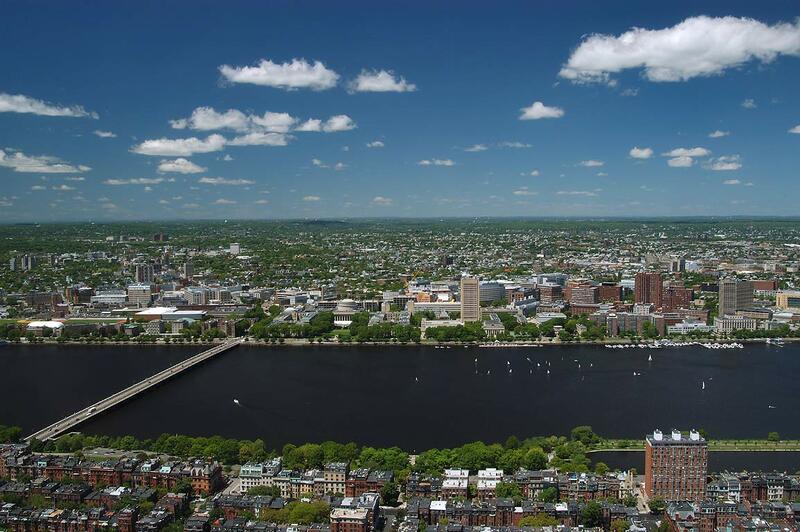 Back Bay, Charles River and Harvard Bridge in Boston from Skywalk of Prudential Tower. 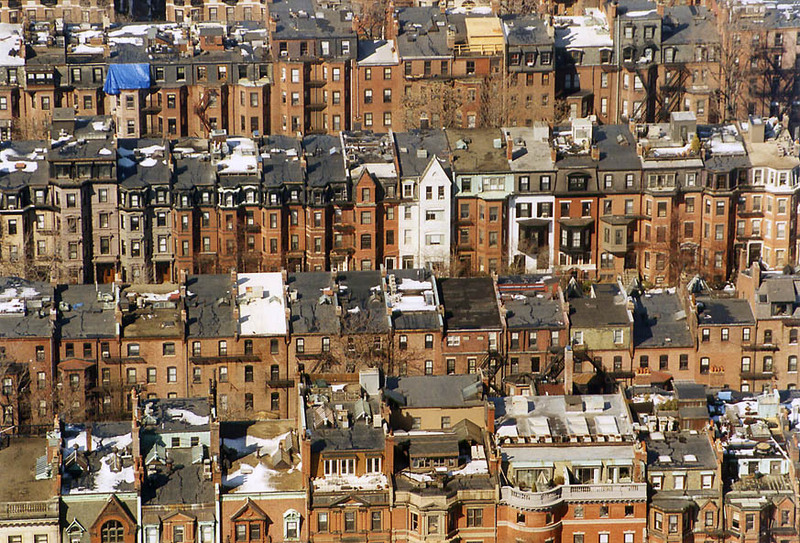 Massachusetts, March 8, 2003. 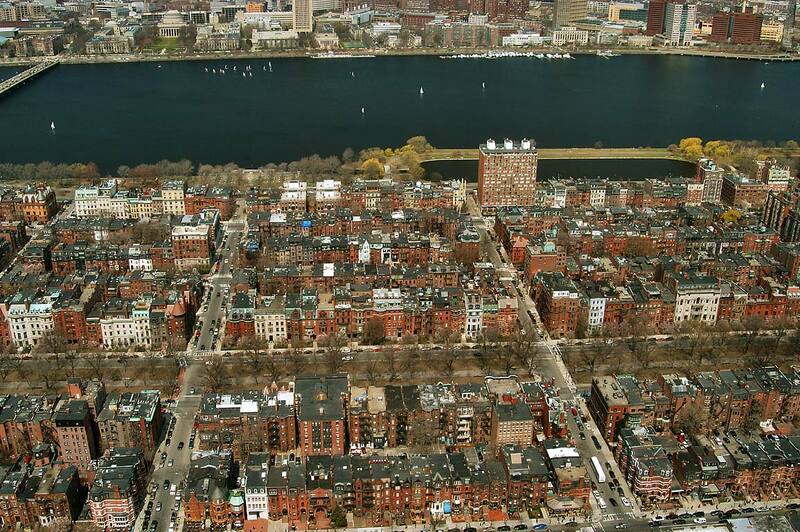 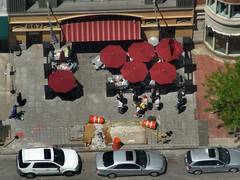 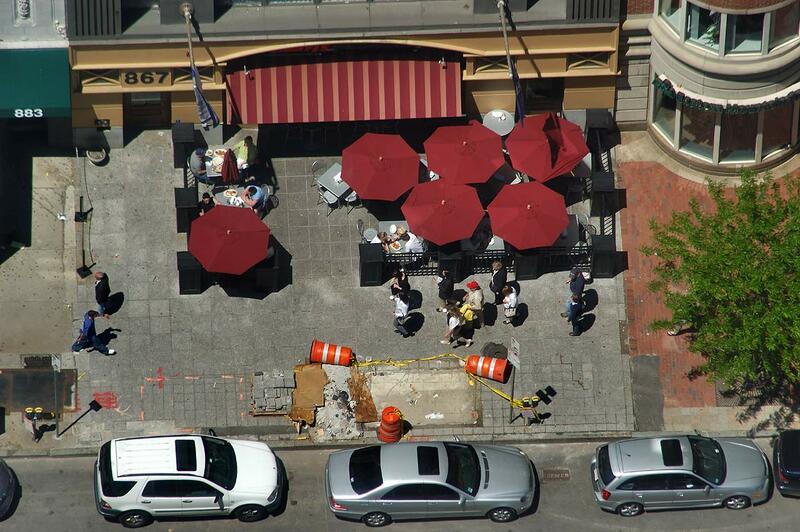 Corner of Commonwealth Avenue and Gloucester Street in Back Bay of Boston from Skywalk of Prudential Tower. 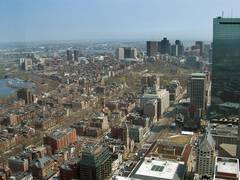 Massachusetts, March 8, 2003. 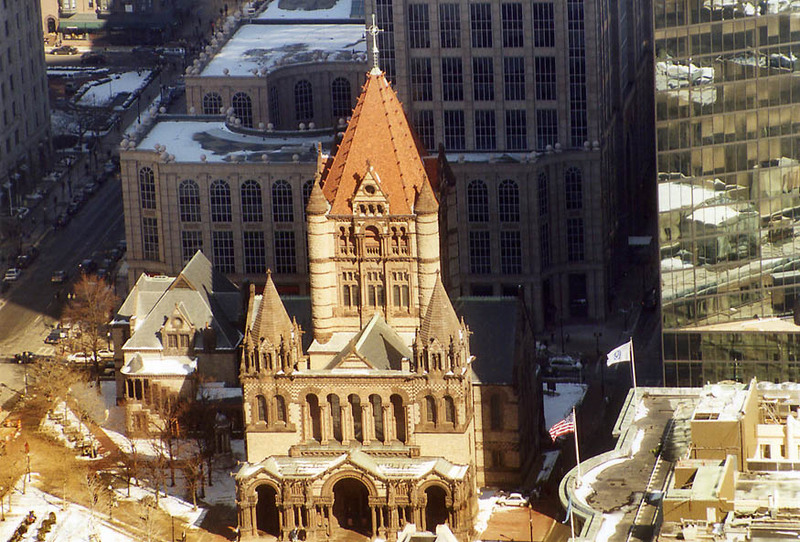 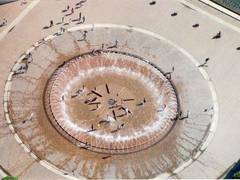 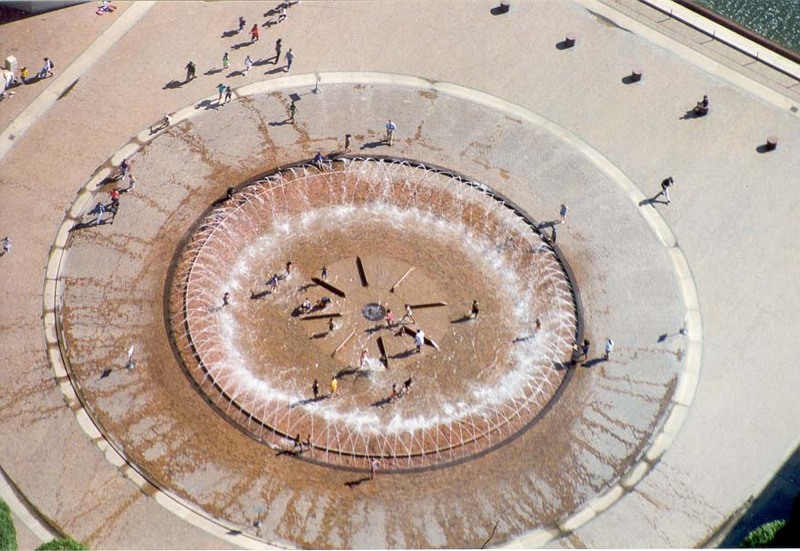 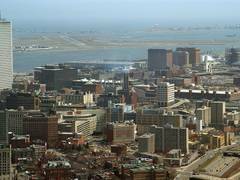 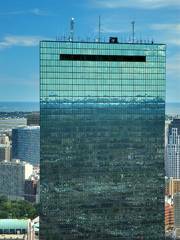 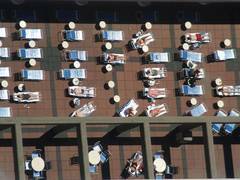 View of the fountain of Christian Science Center from an observatory of Prudential Tower in Boston, August 2, 1999. 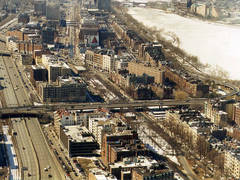 Belvidere, Saint Germaine, and Clearway streets south-west from Skywalk of Prudential Tower. 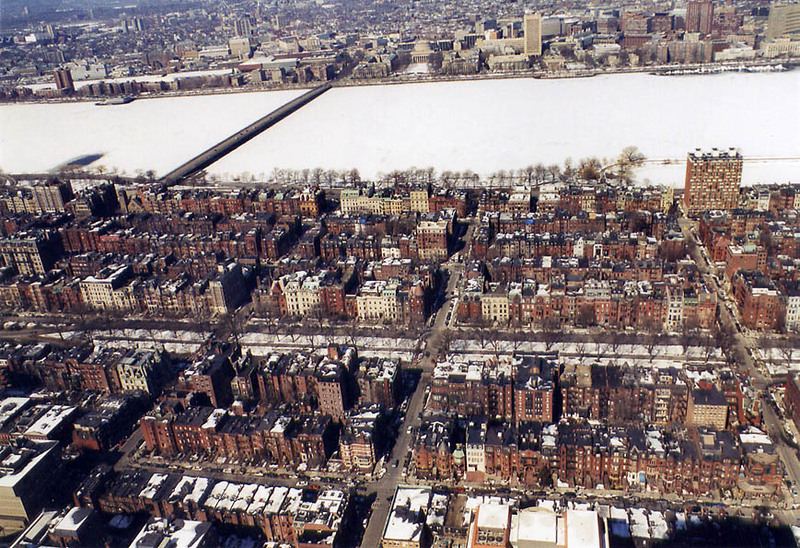 Boston, Massachusetts, March 8, 2003. 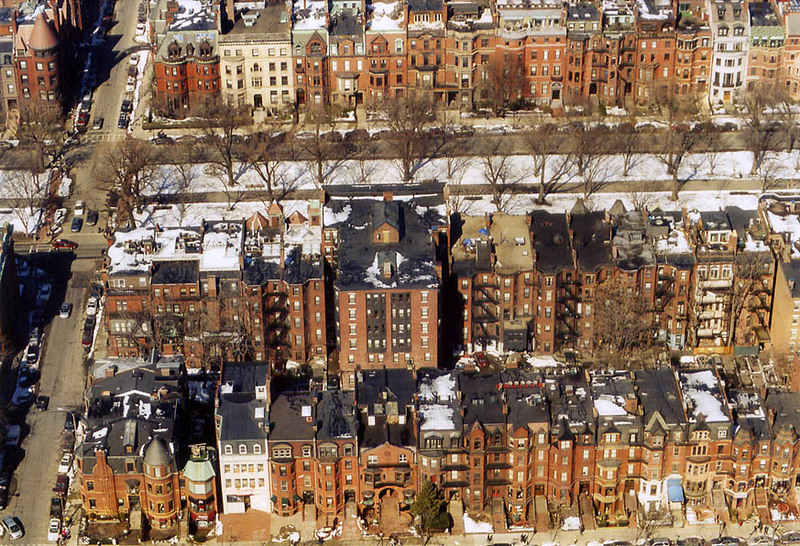 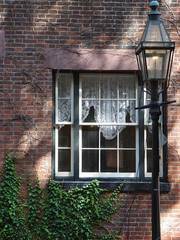 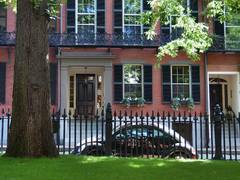 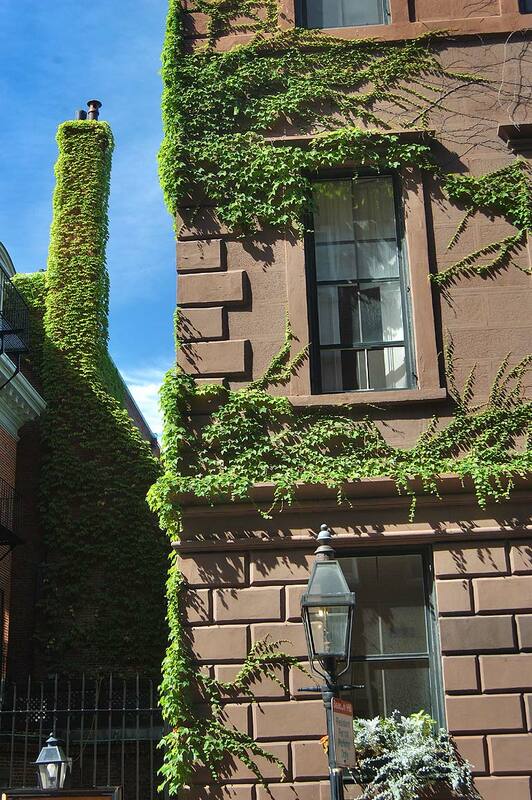 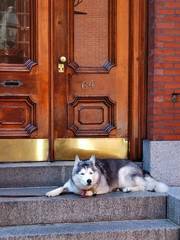 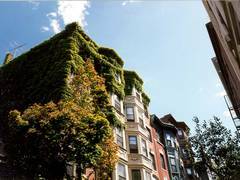 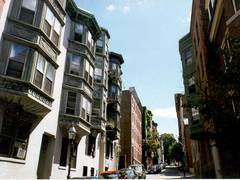 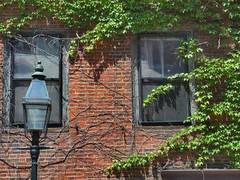 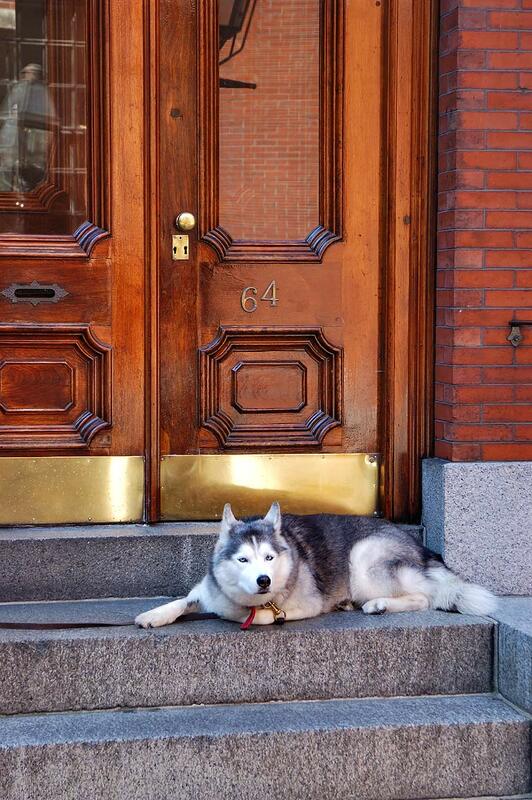 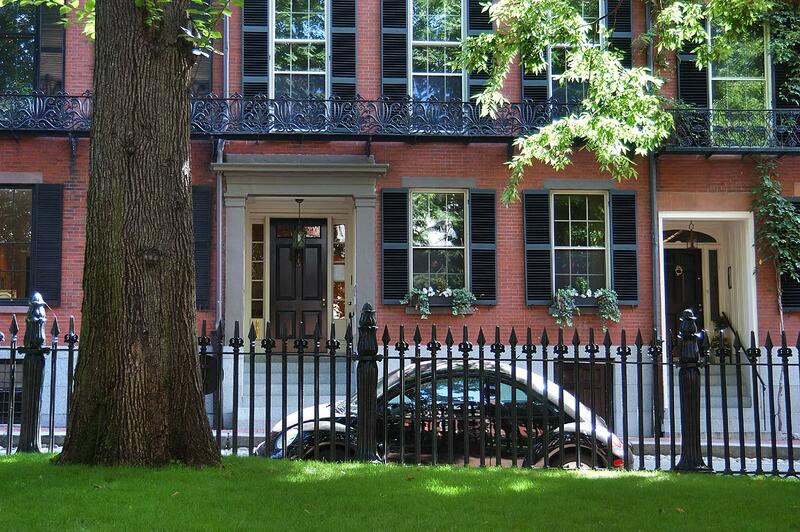 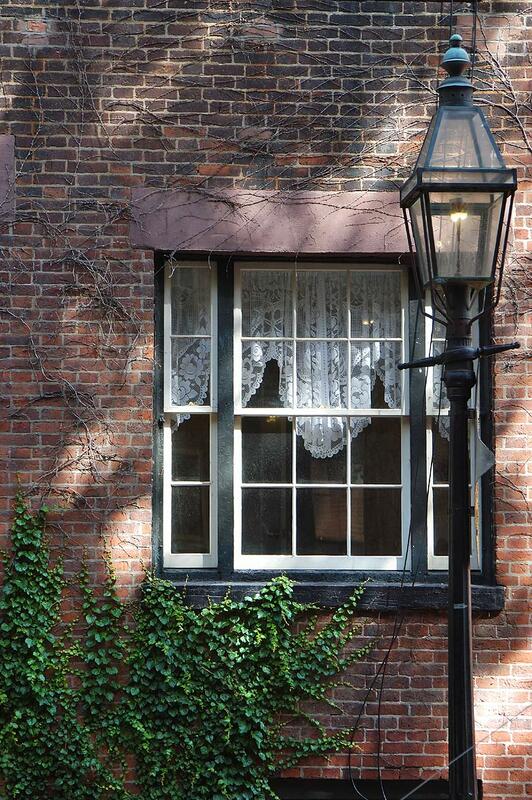 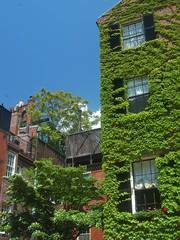 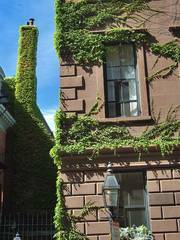 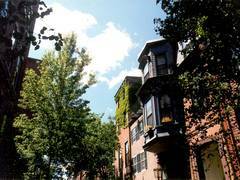 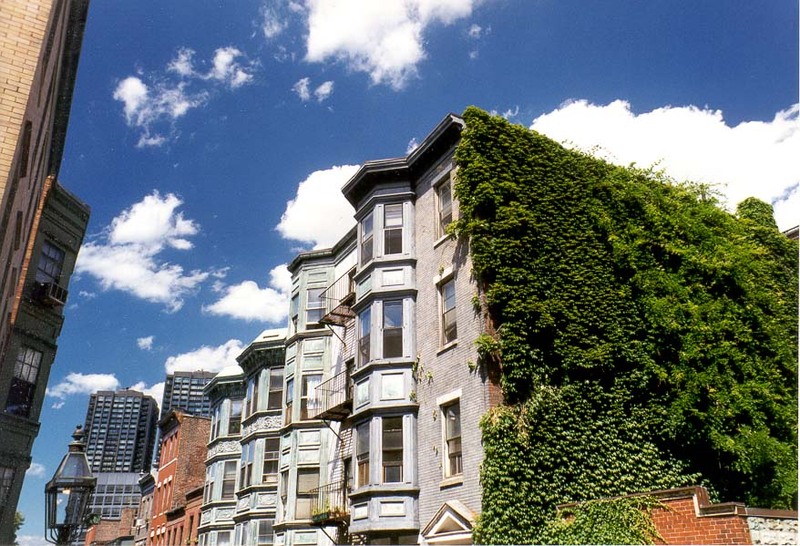 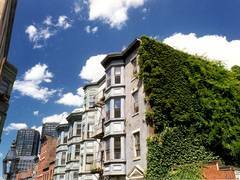 A street at Beacon Hill in Boston. 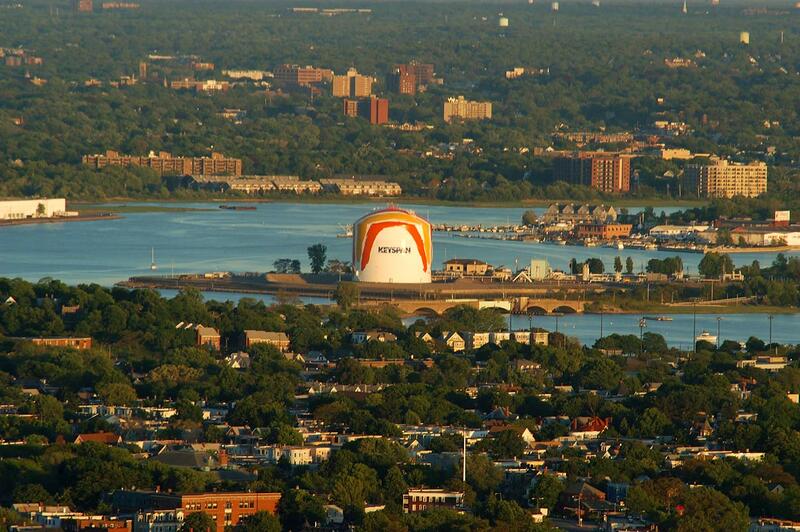 Massachusetts, August 3, 1999. 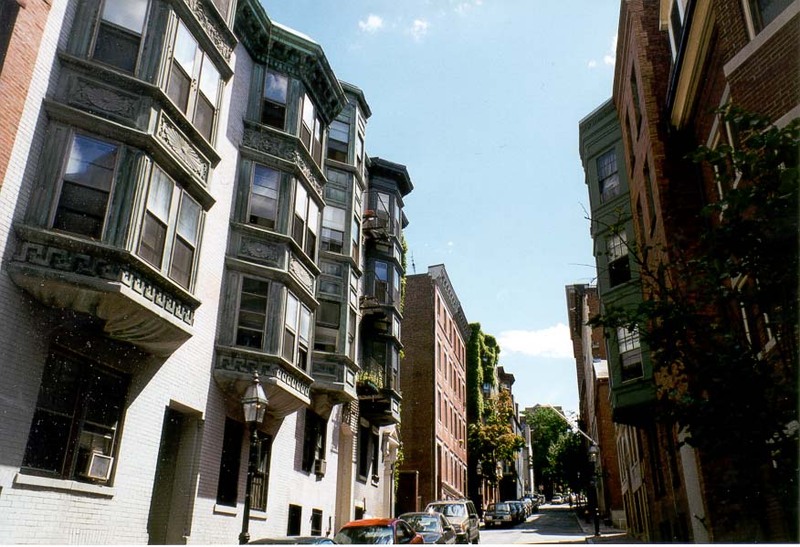 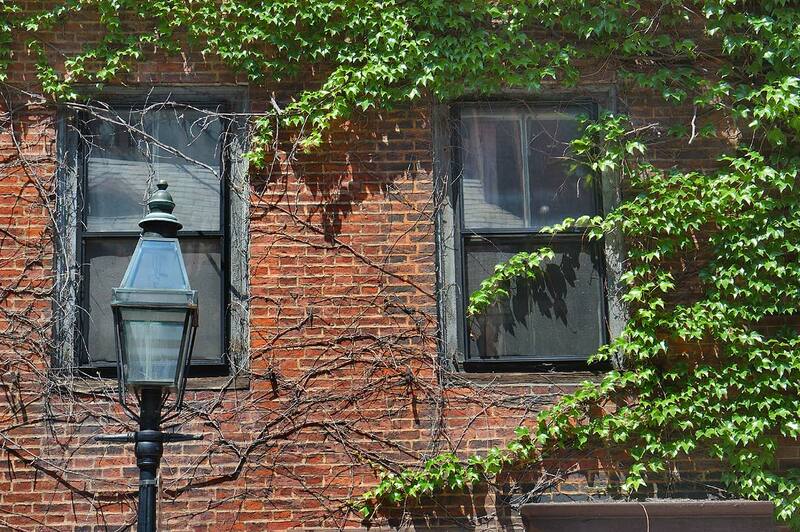 Pickney Street at Beacon Hill in Boston at the beginning of Black Heritage Trail. 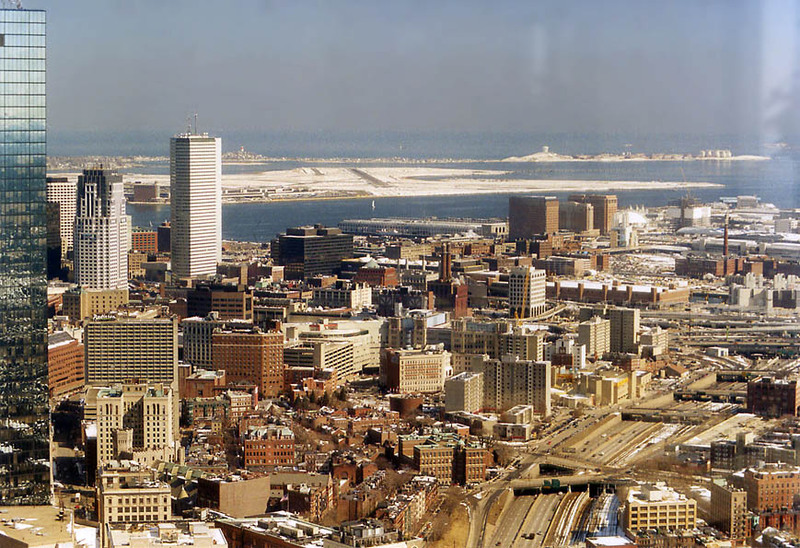 Massachusetts, August 3, 1999. 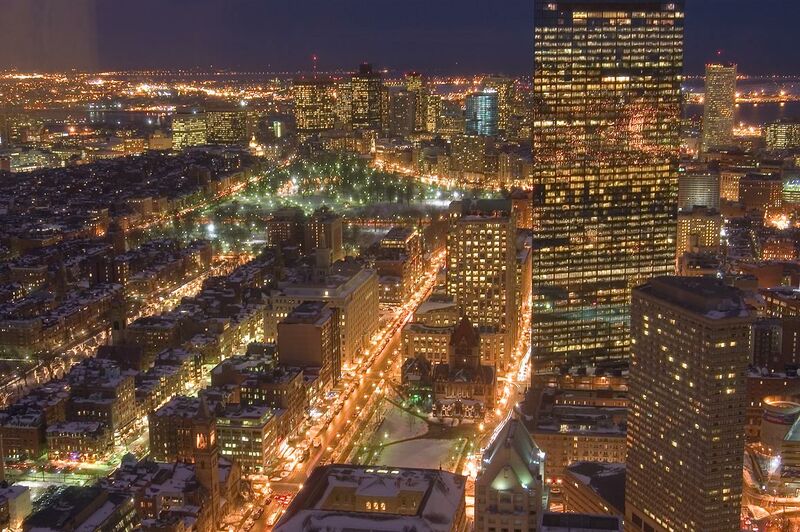 View of the city surrounding Boston Common from Hancock Tower in Boston. 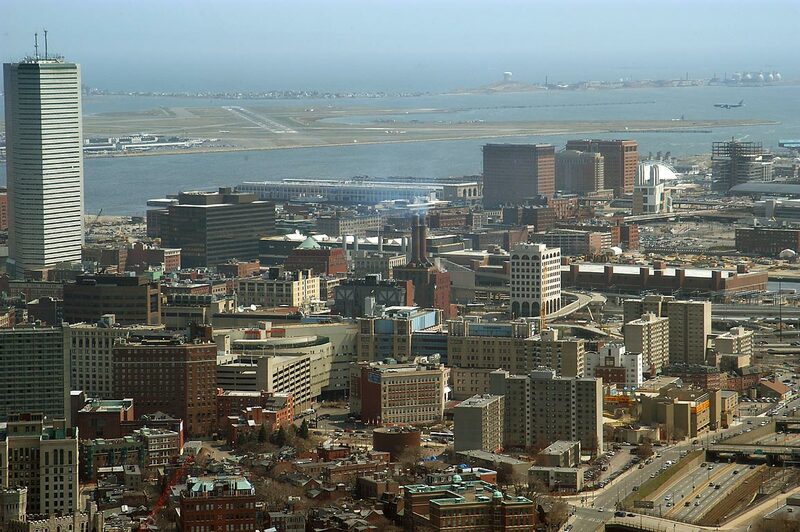 Massachusetts, August 3, 1999. 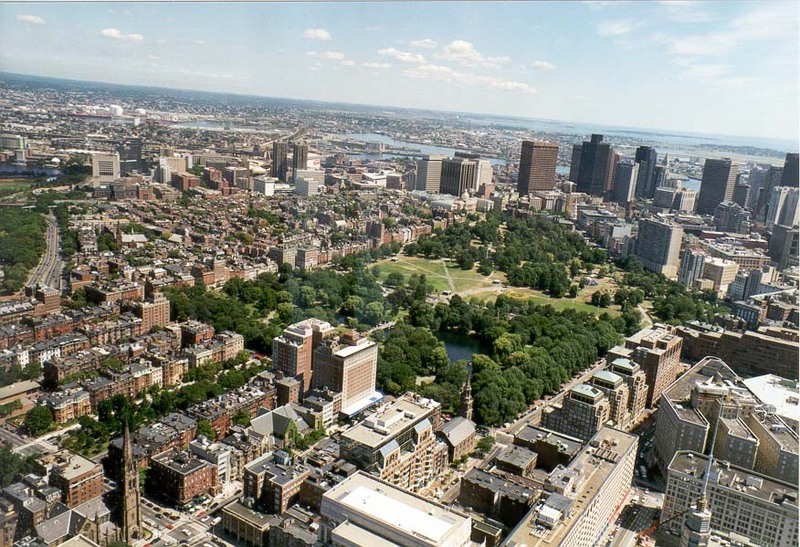 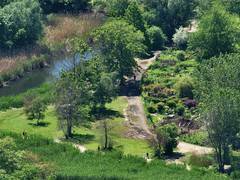 View of an area of Boston Public Garden north from Hancock Tower in Boston. 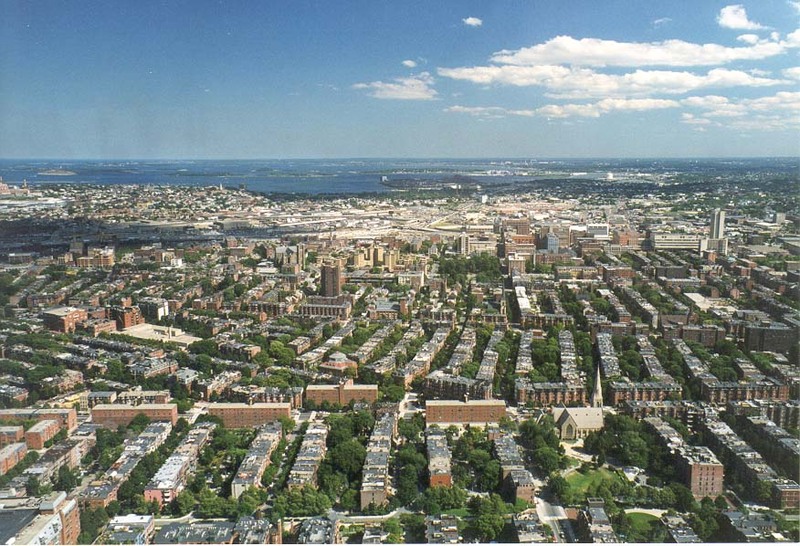 Massachusetts, August 3, 1999. 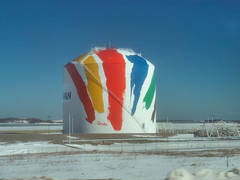 Rainbow gas tank on Commercial Point, view from a bus moving on Southeast Expy. 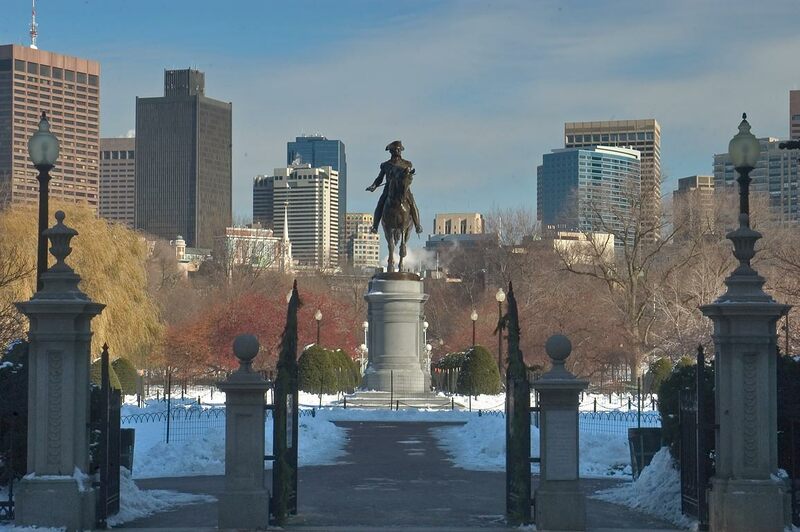 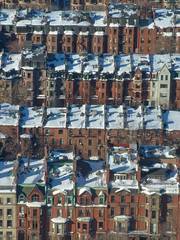 Boston, Massachusetts, January 25, 2005.